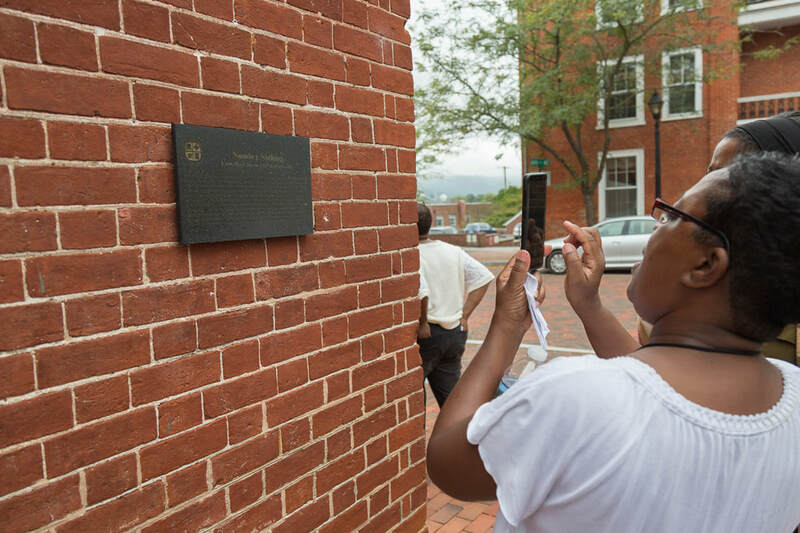 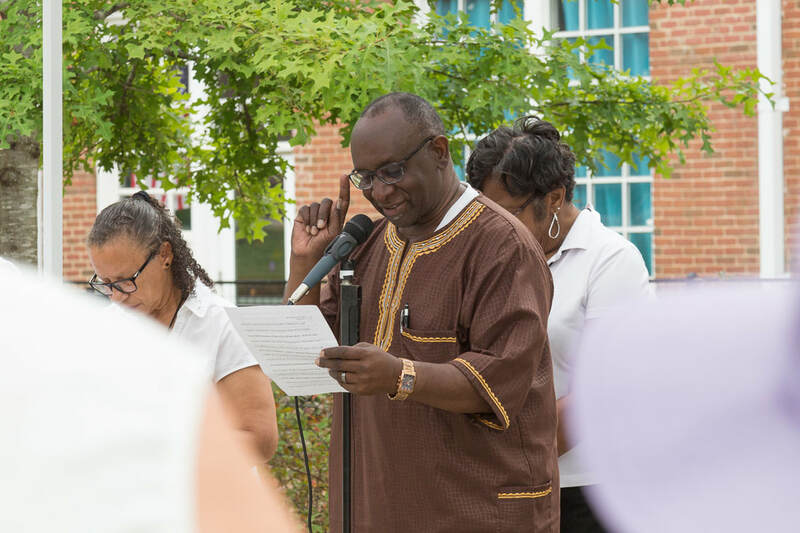 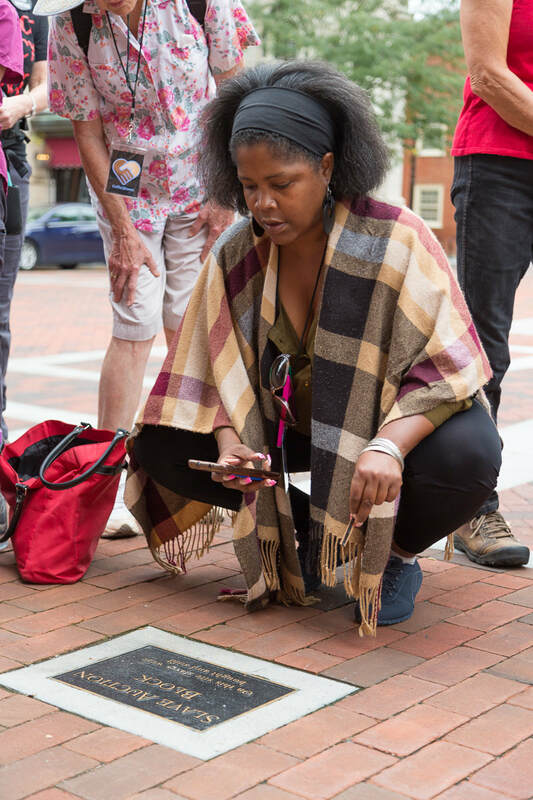 ​In response to the events of August 11 and 12, 2017, the Charlottesville to Jamestown pilgrimage, sponsored by the Charlottesville Clergy Collective, provided a constructive opportunity for us to take the next step in addressing racism in America and its attending systemic injustices. 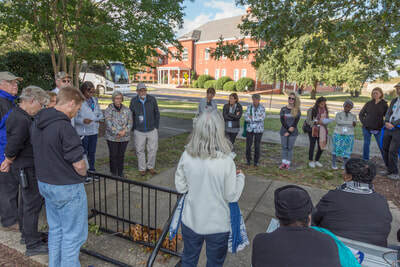 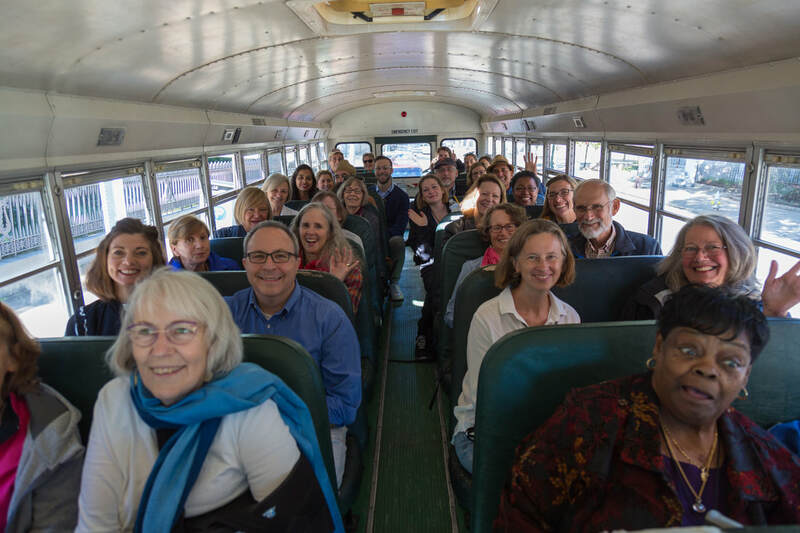 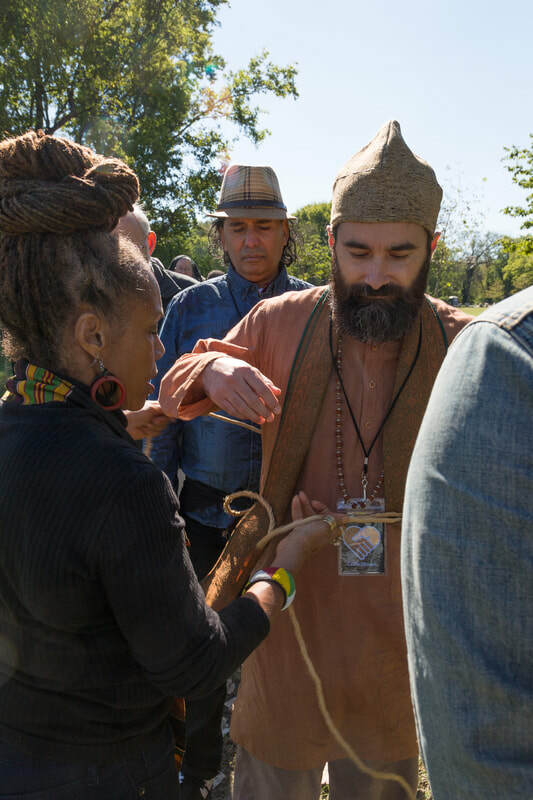 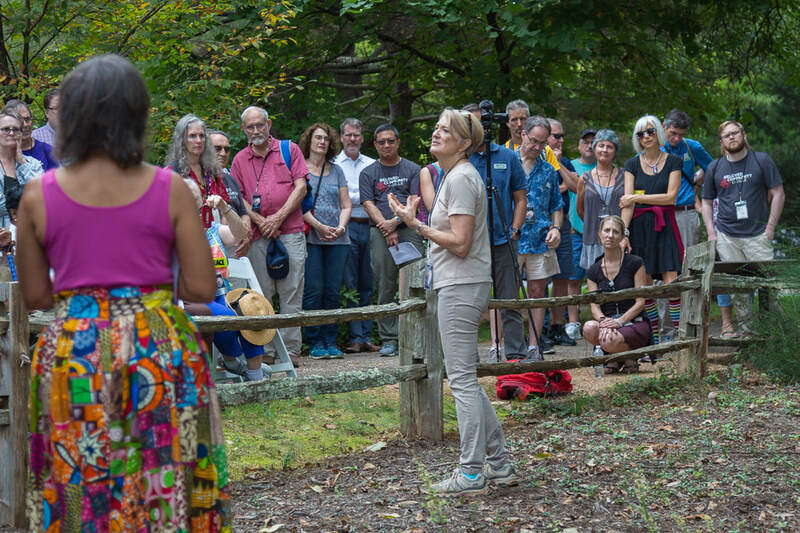 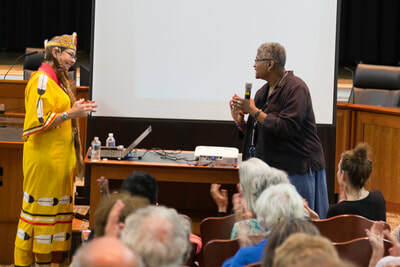 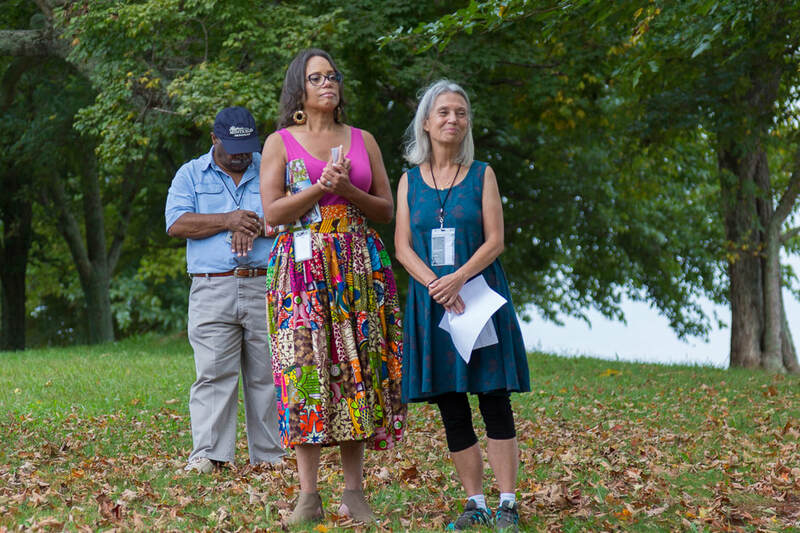 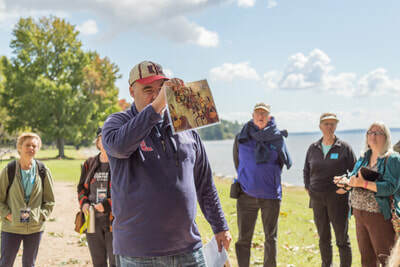 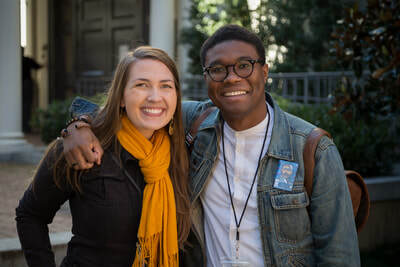 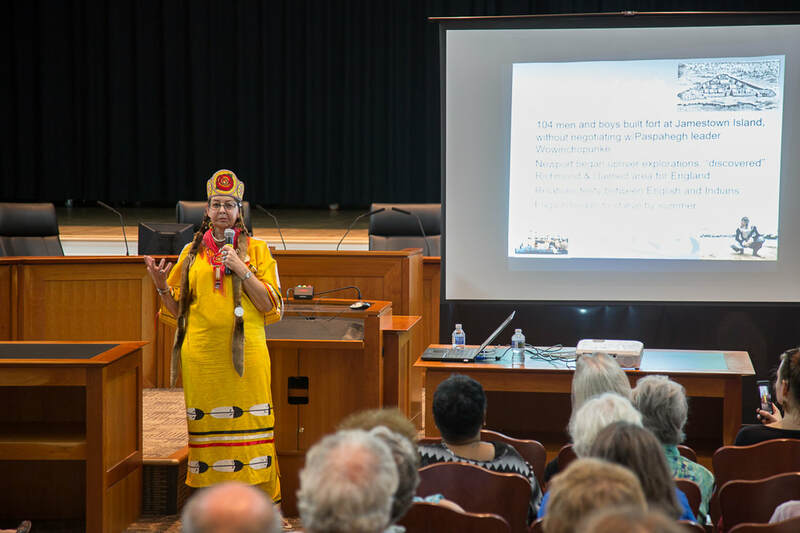 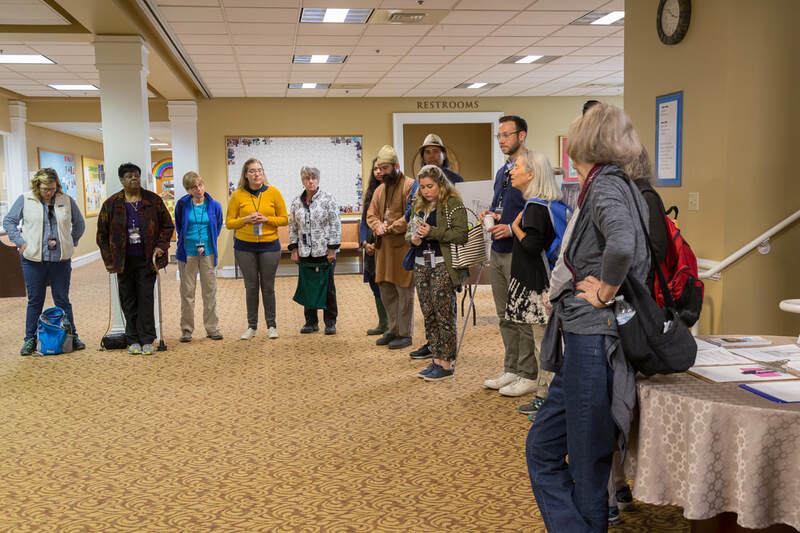 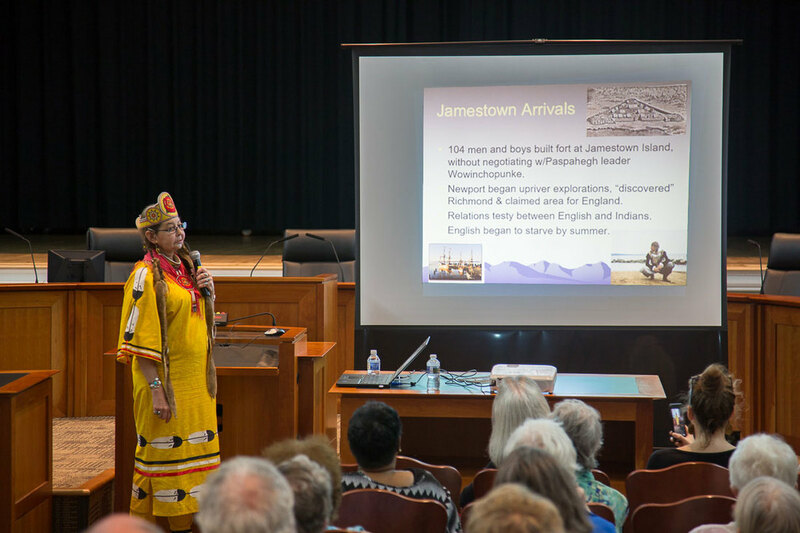 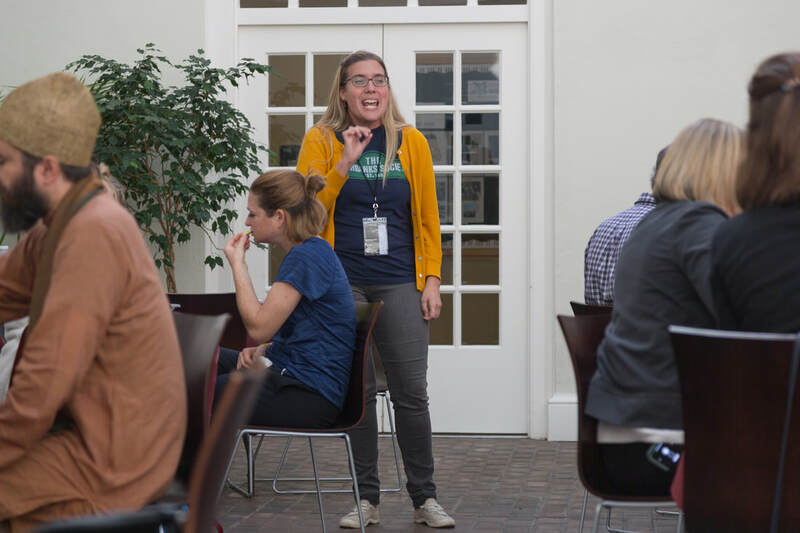 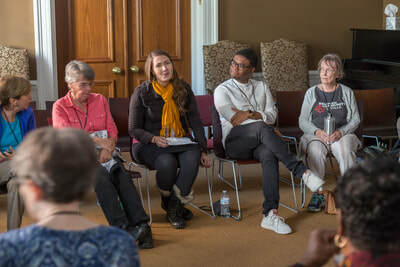 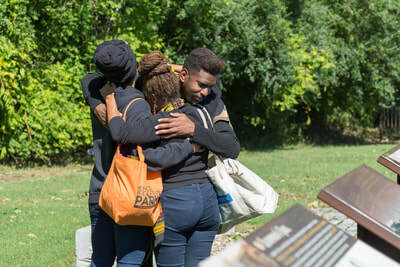 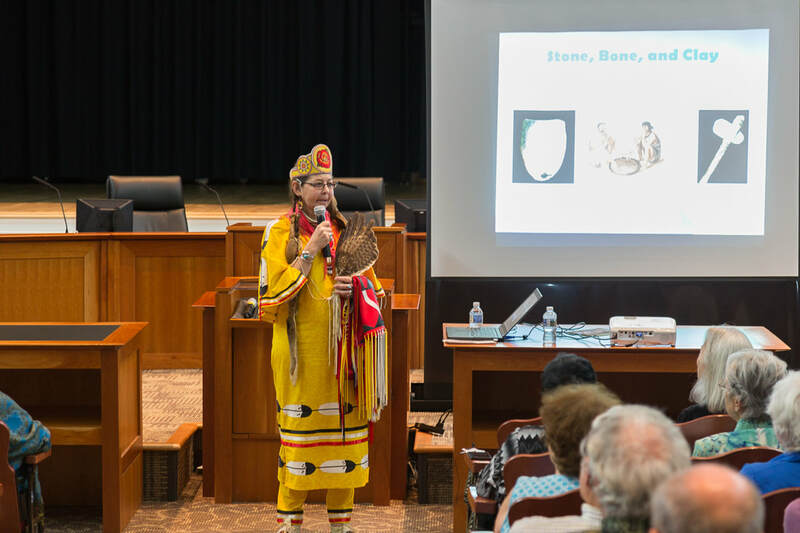 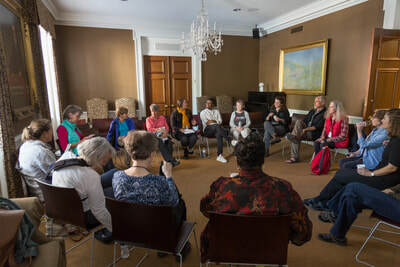 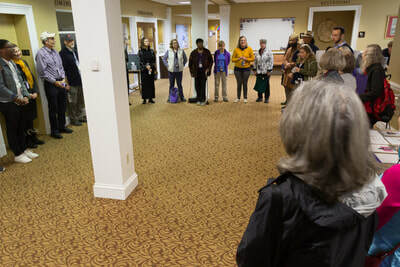 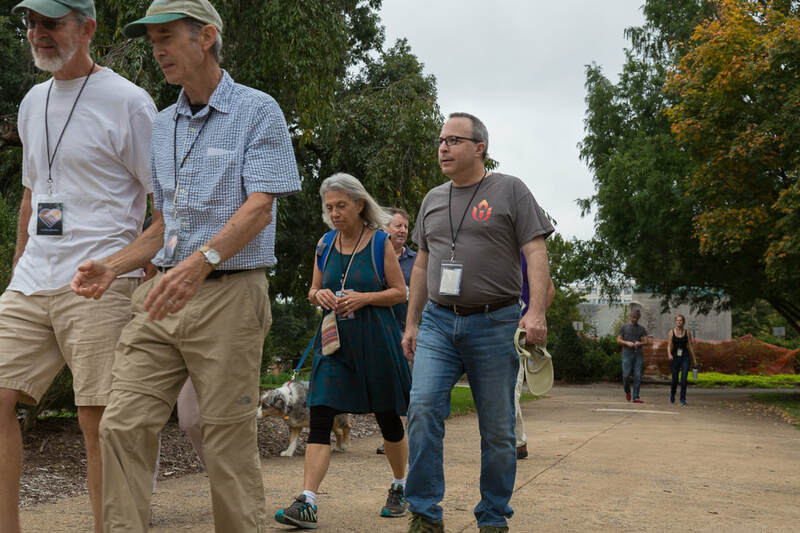 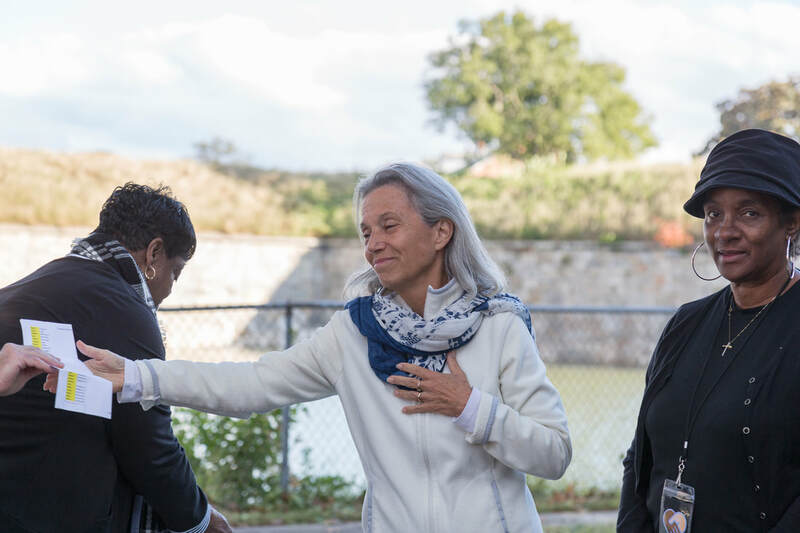 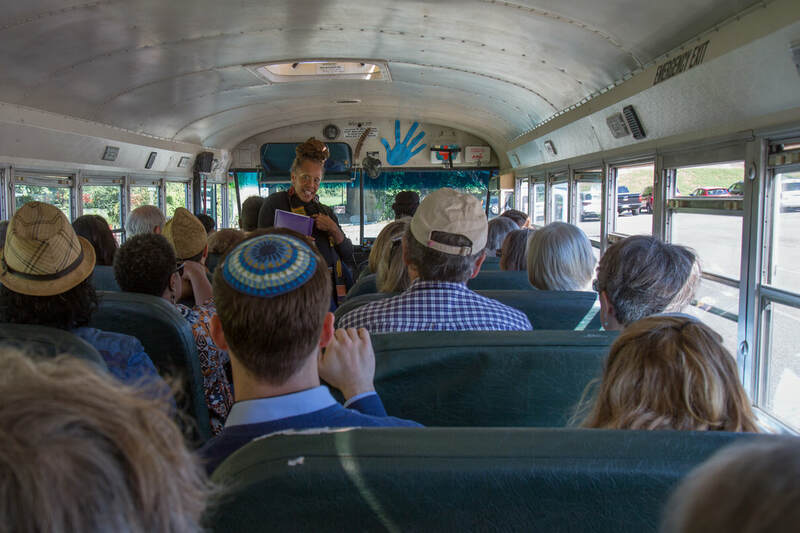 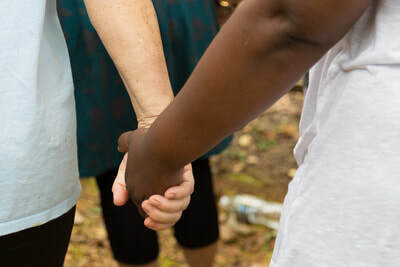 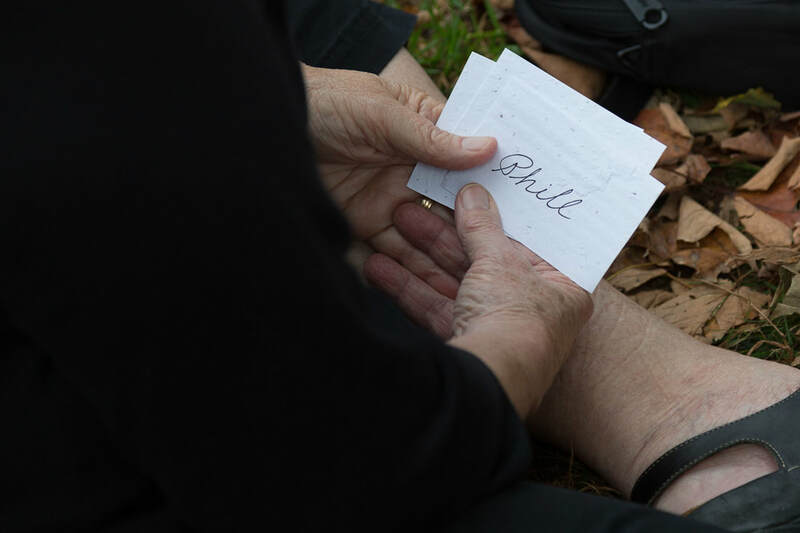 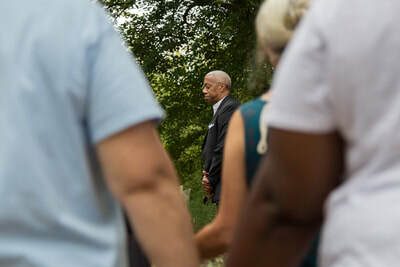 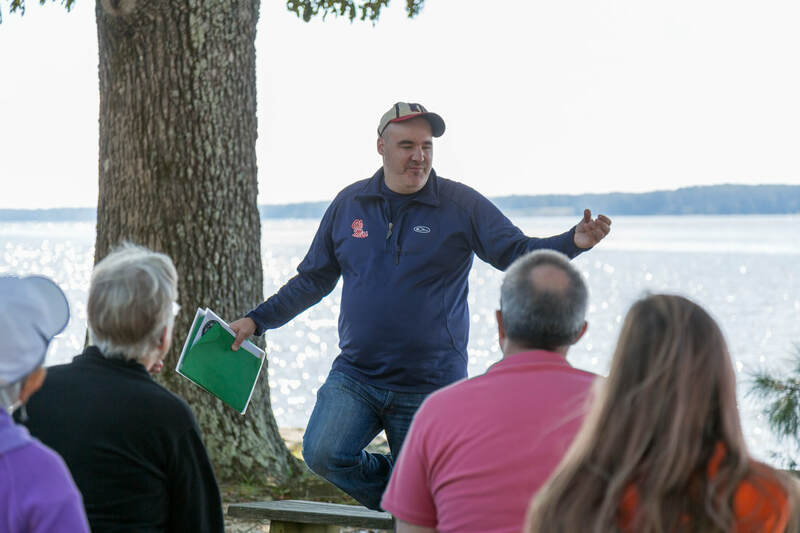 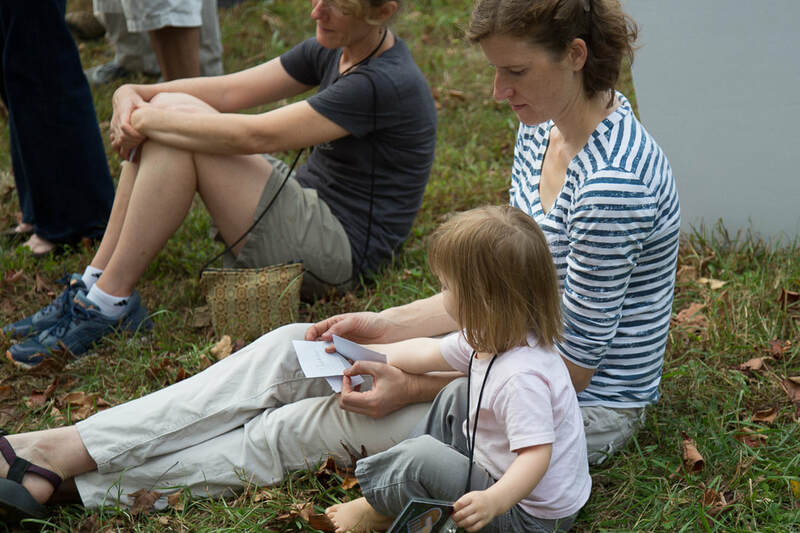 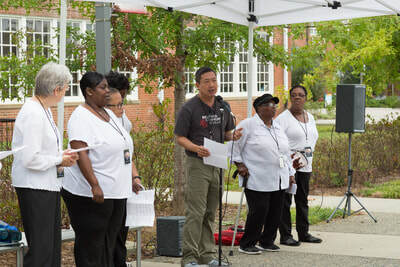 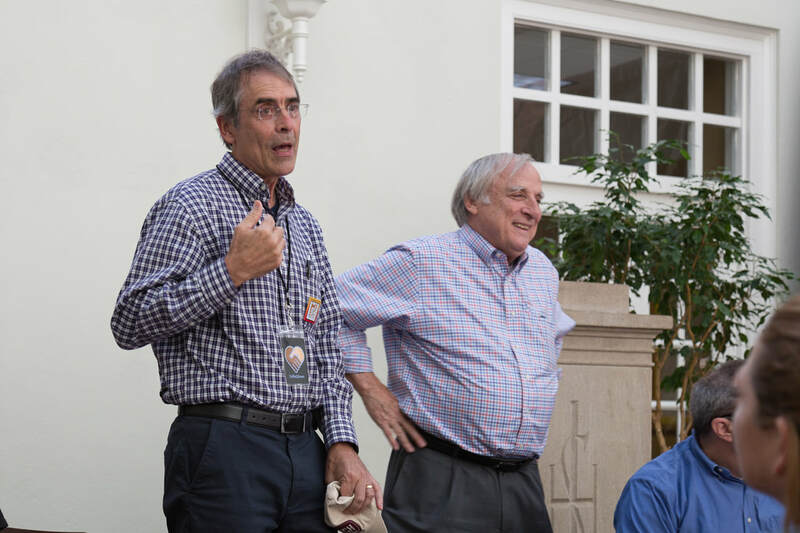 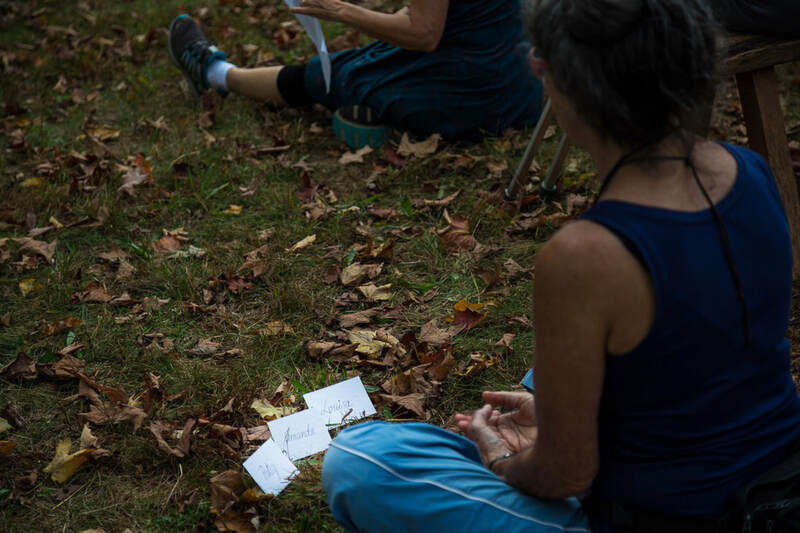 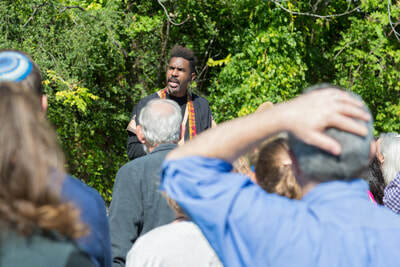 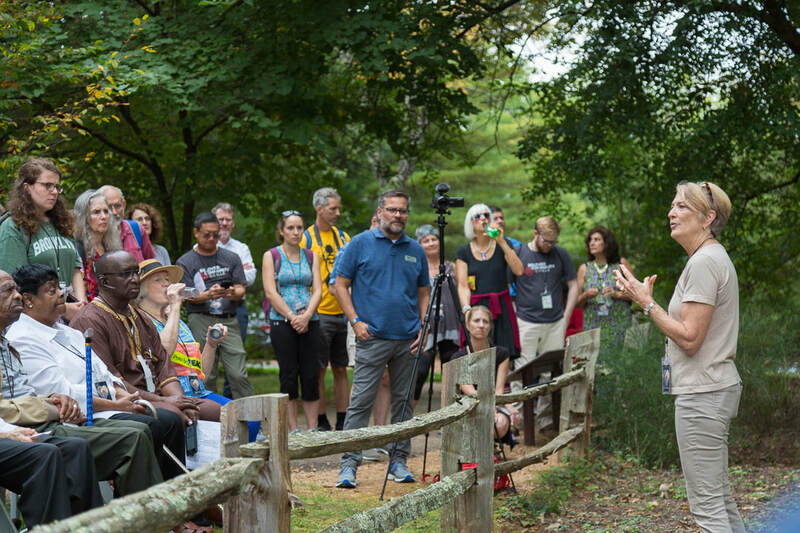 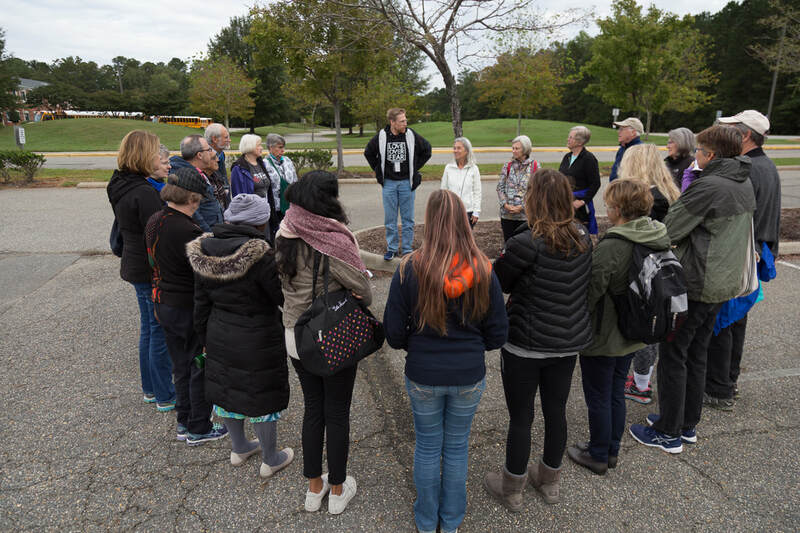 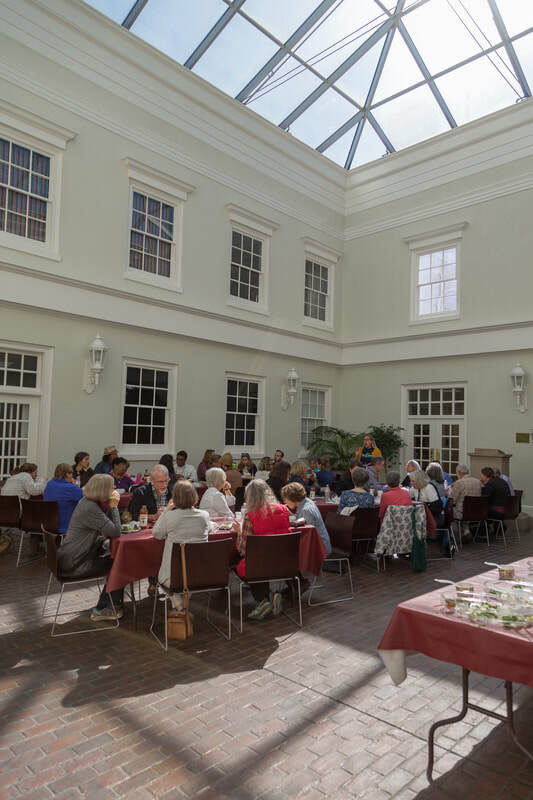 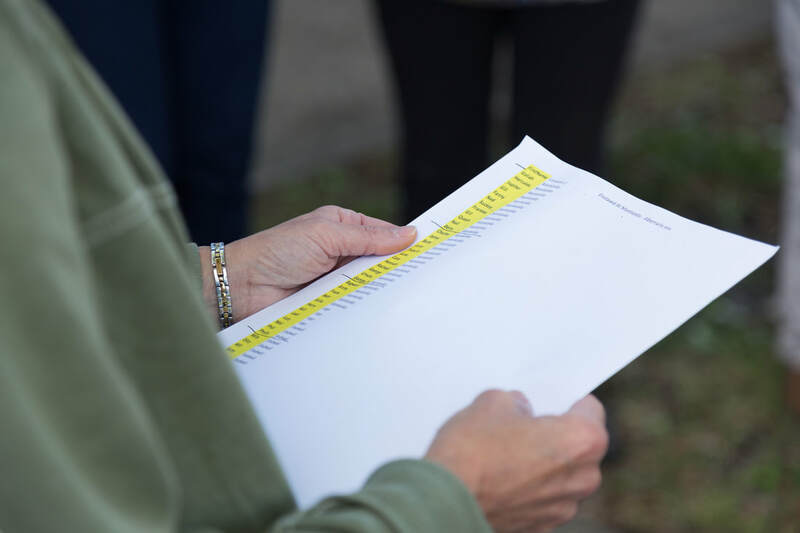 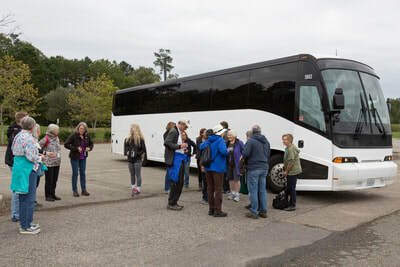 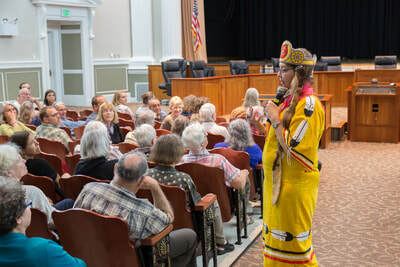 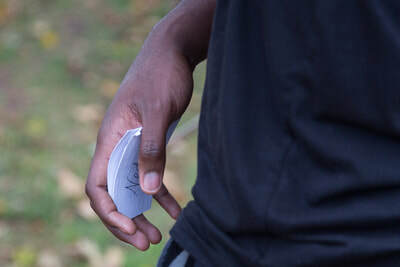 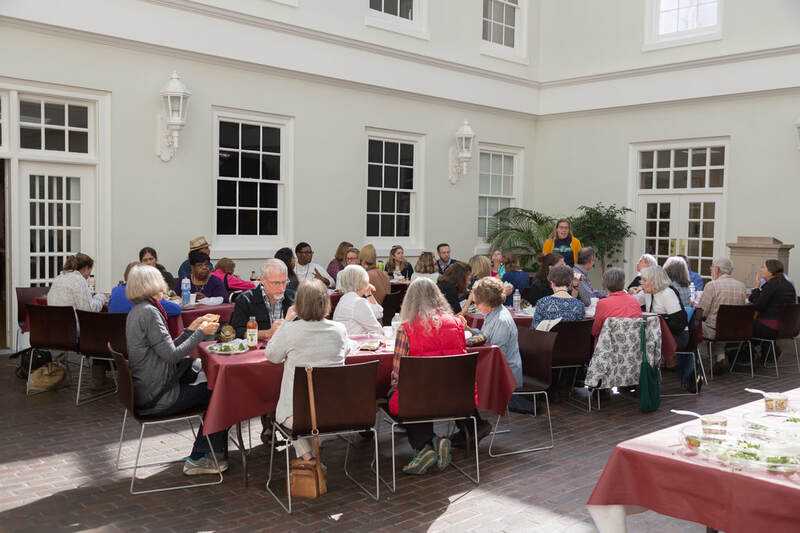 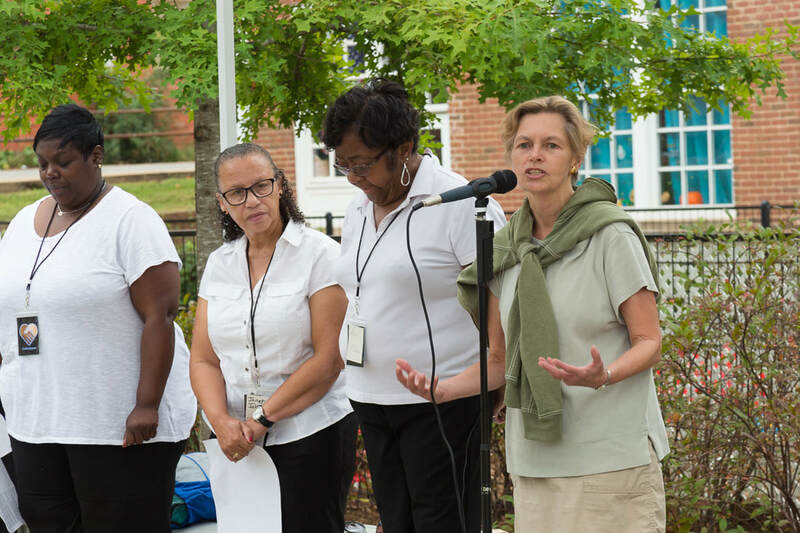 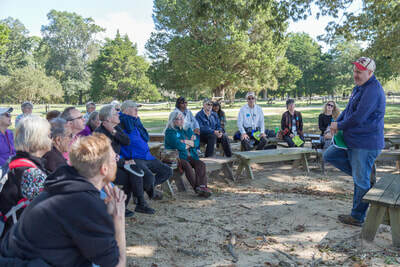 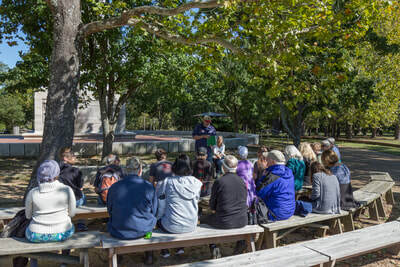 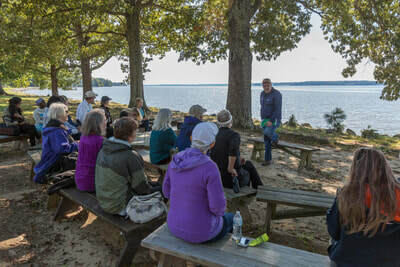 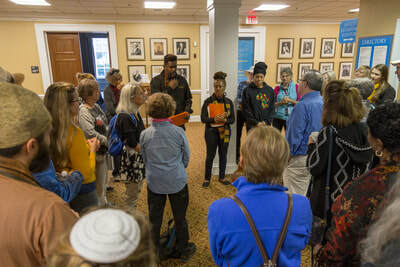 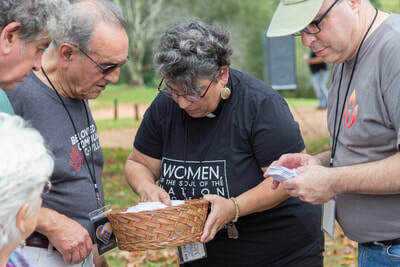 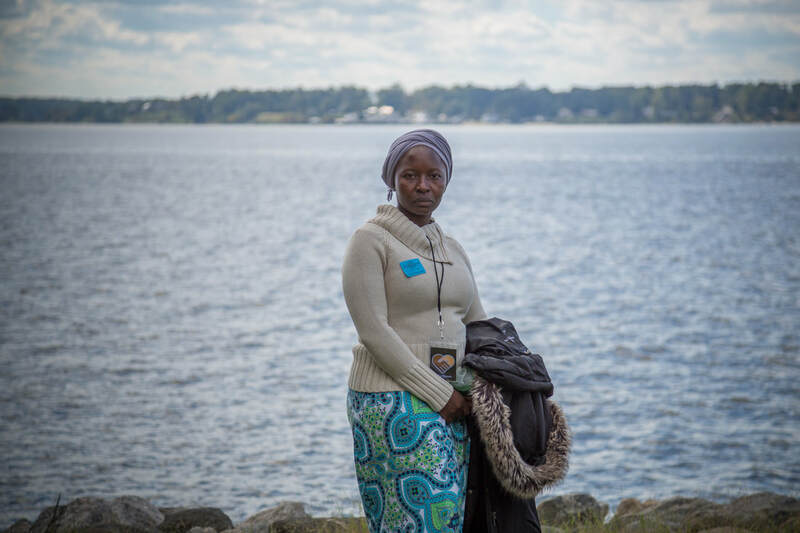 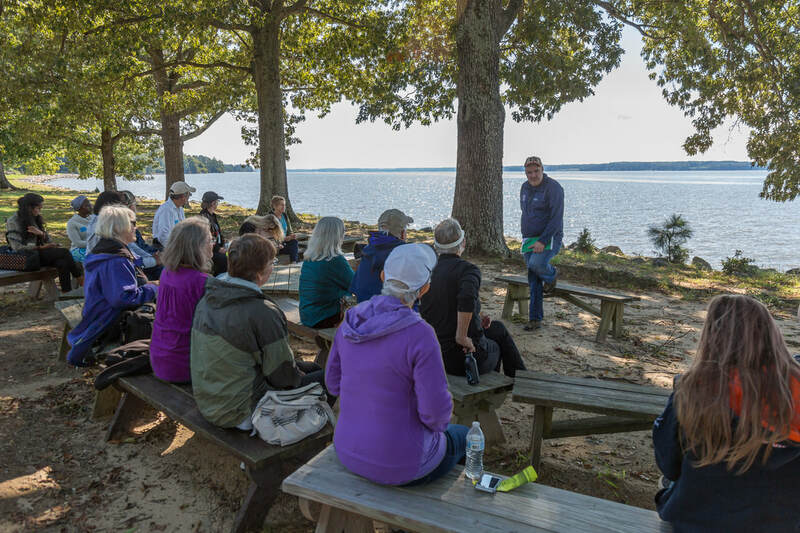 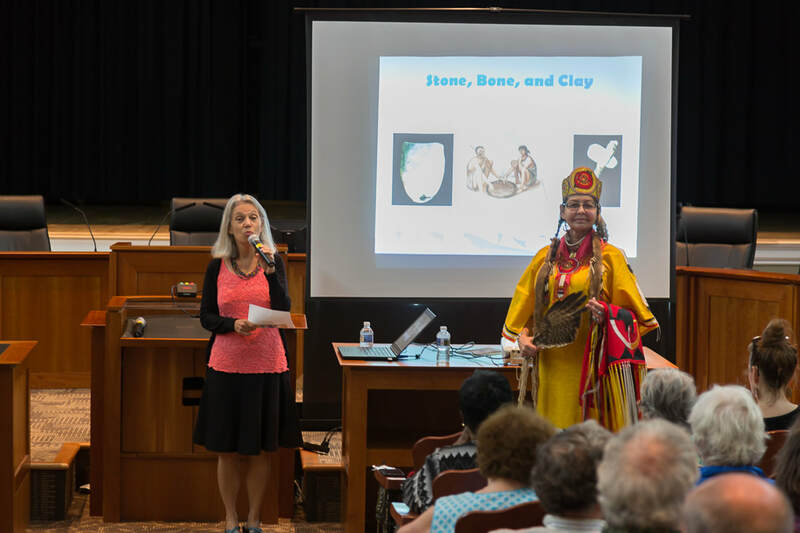 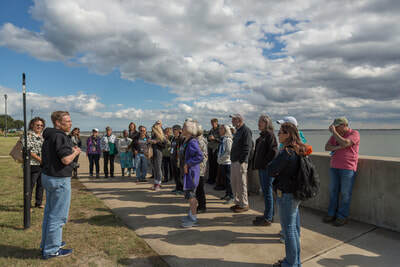 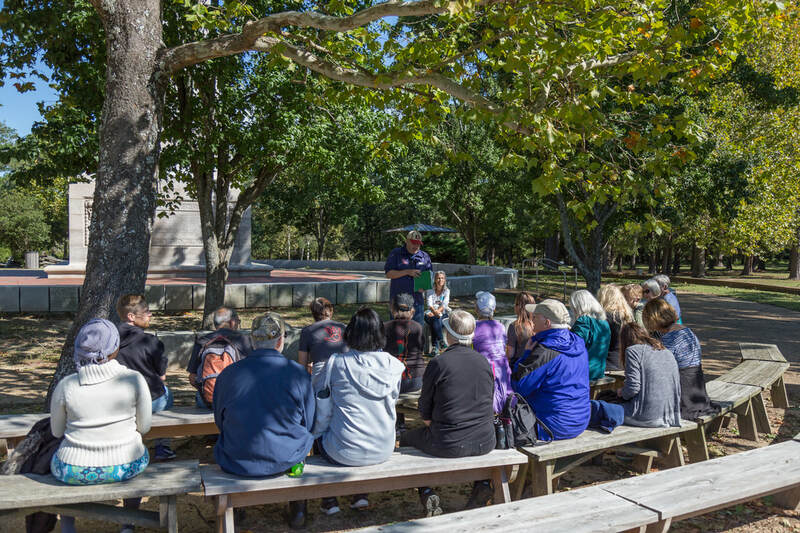 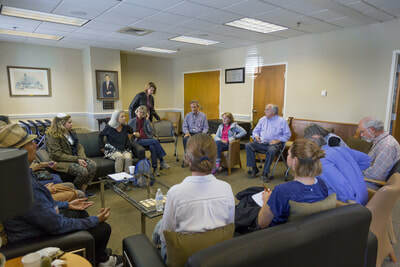 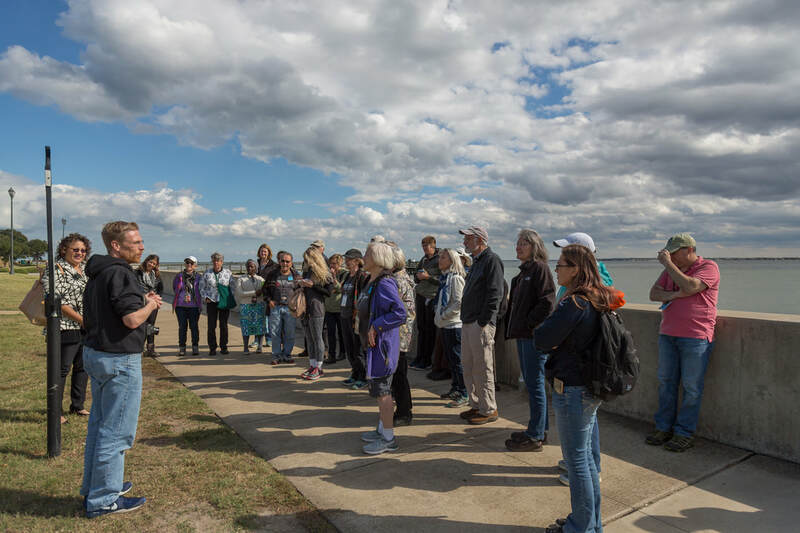 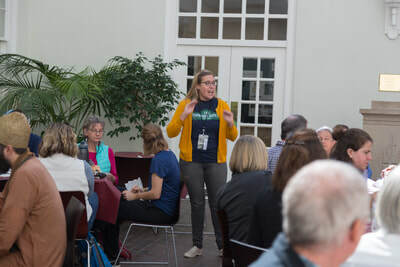 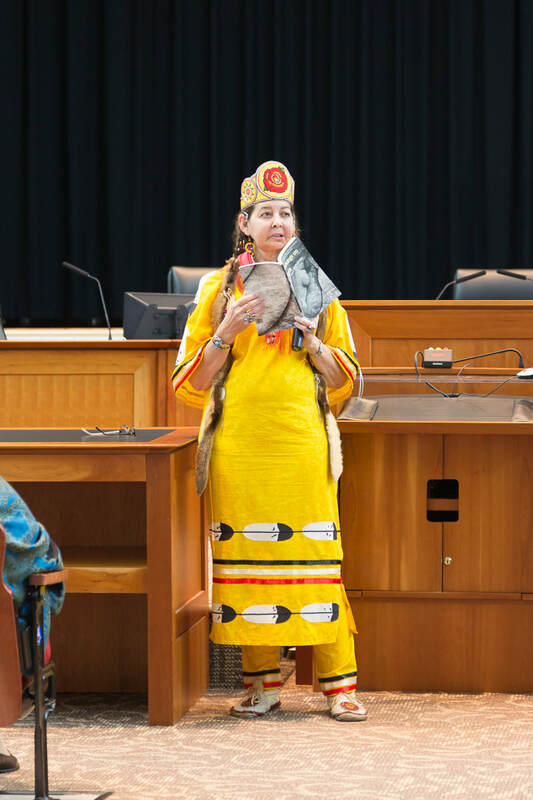 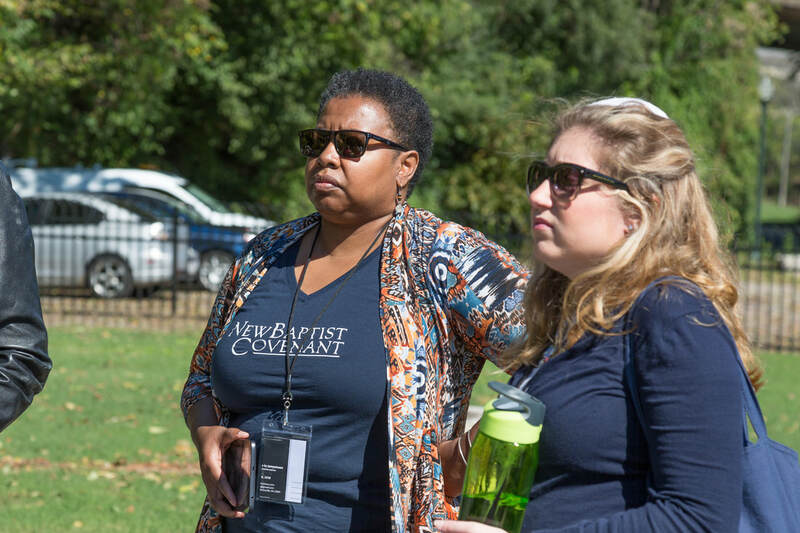 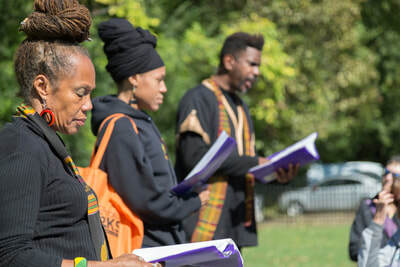 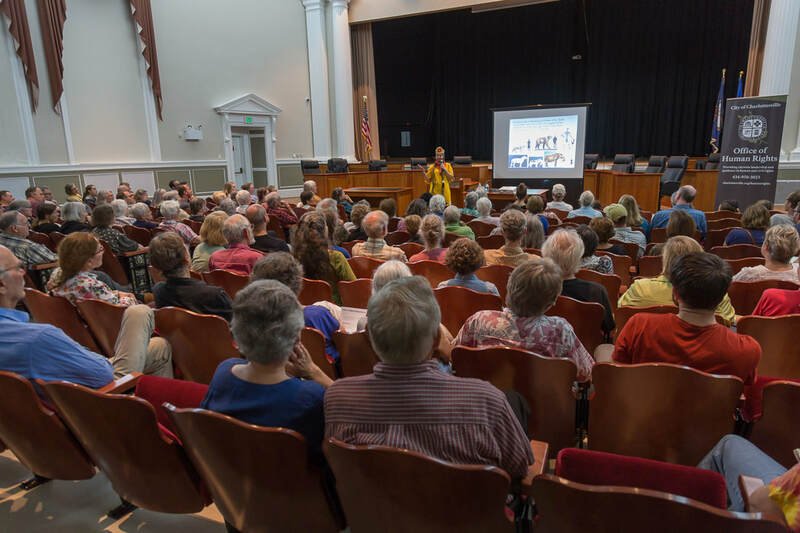 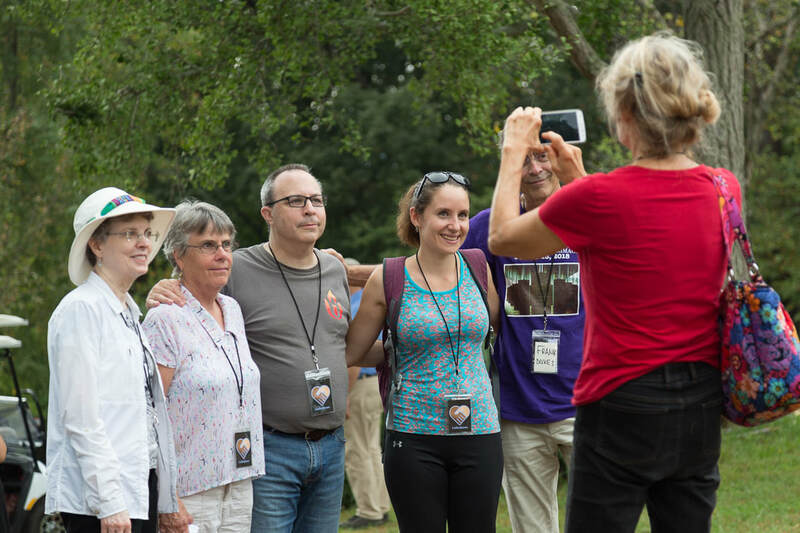 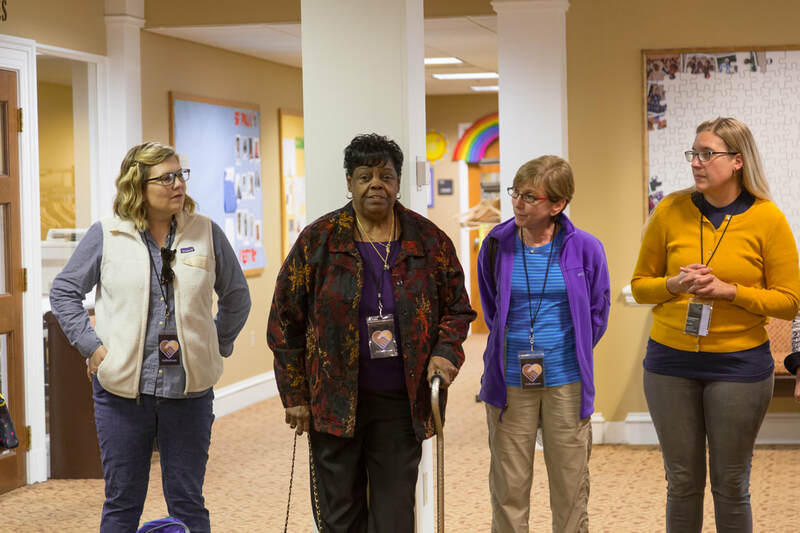 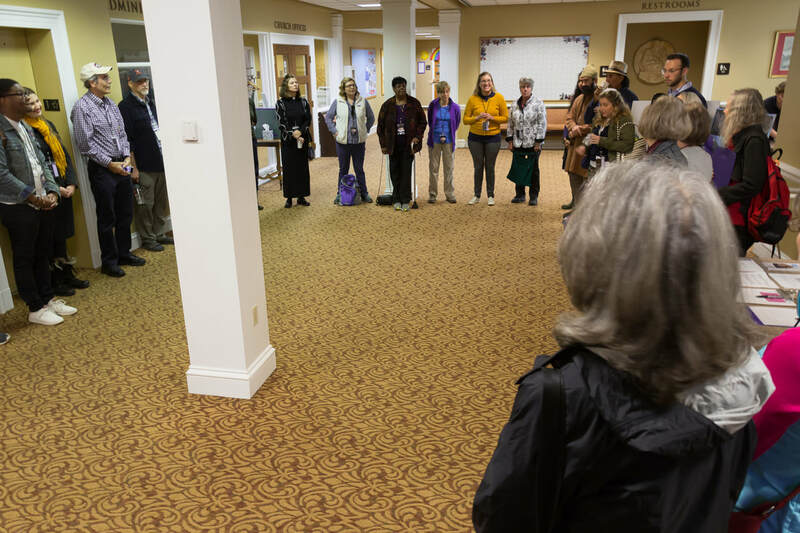 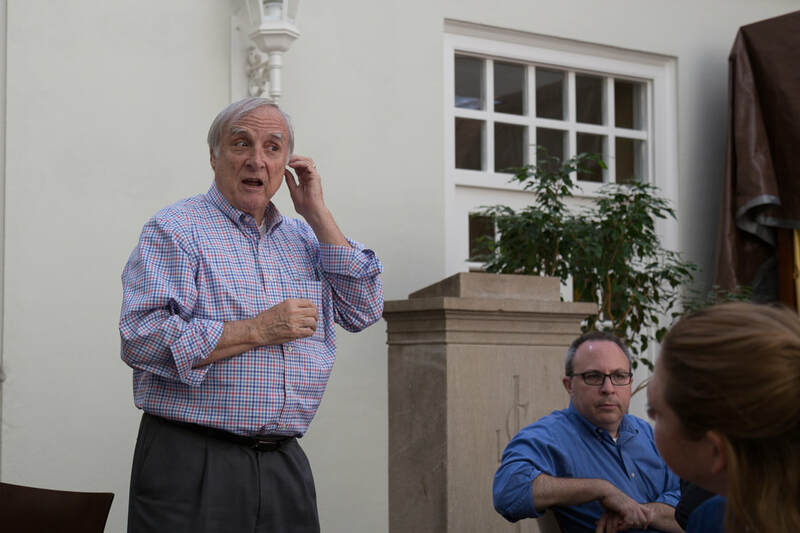 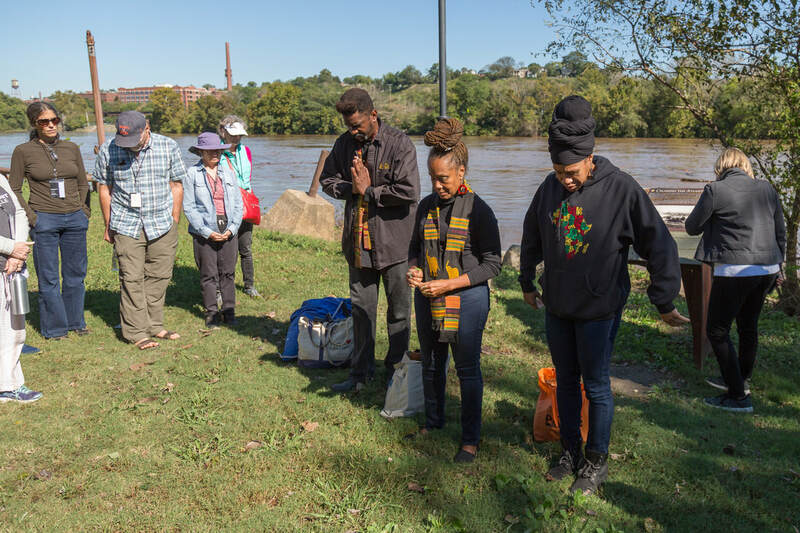 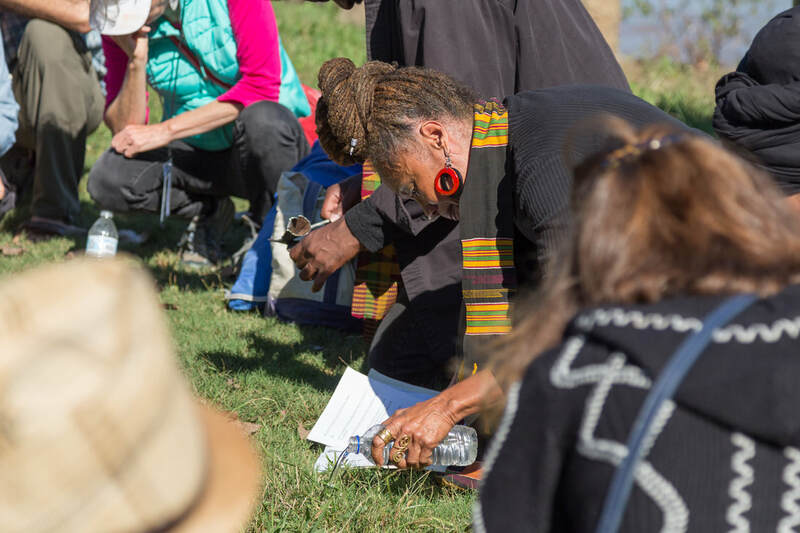 During our journey, over four hundred pilgrims heard stories and untold histories, we built relationships, and we identified common concerns that need to be transformed in order to bring about racial equity. 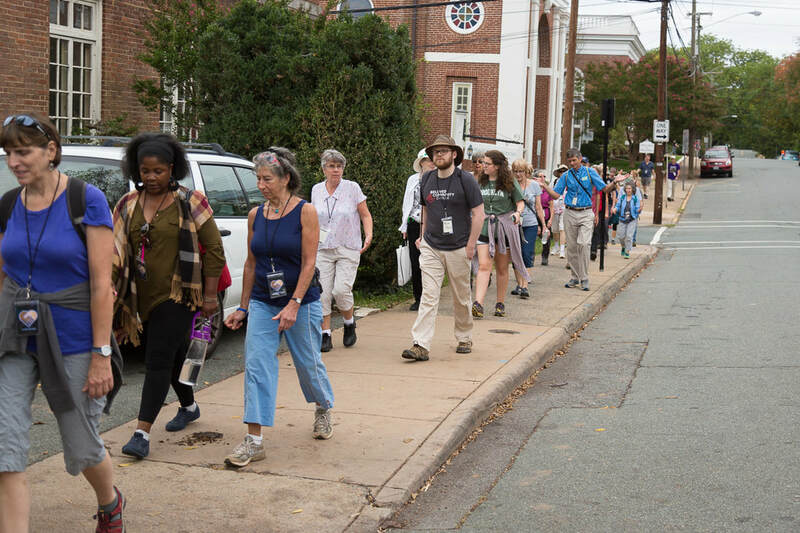 Our journey began on Saturday, October 6, 2018, from central Charlottesville. 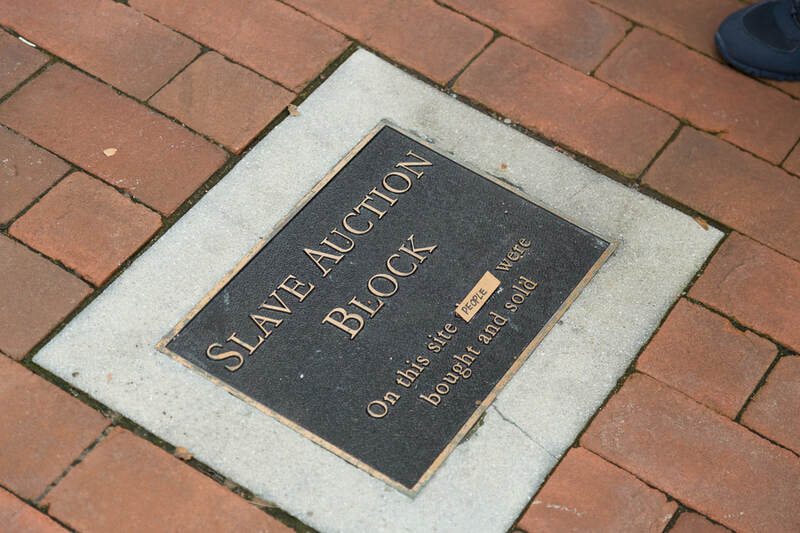 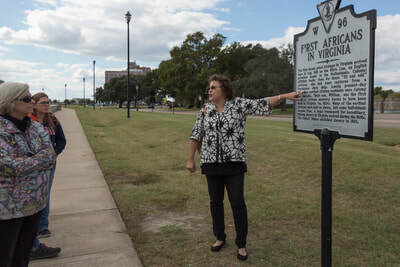 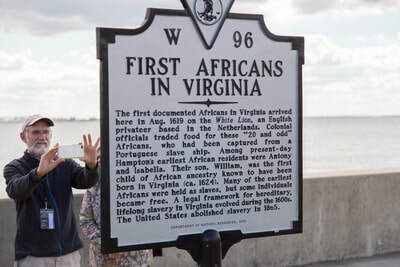 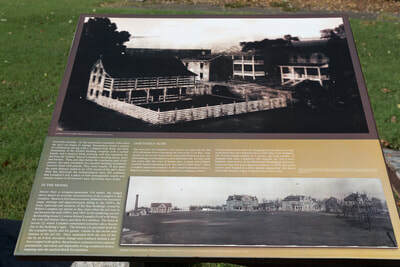 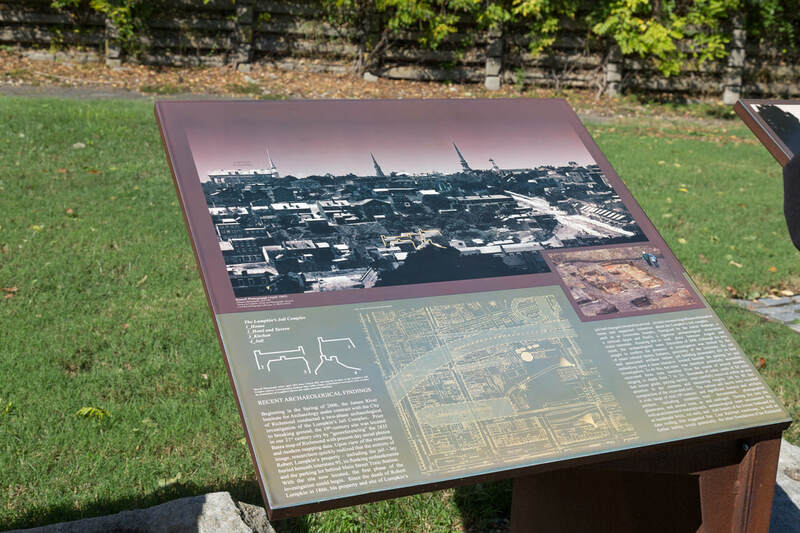 Our first leg took us past Market Street Park (formerly Emancipation Park) and the proposed site for a marker to remember the July 12, 1898, lynching of John Henry James -- an African American man from Charlottesville. 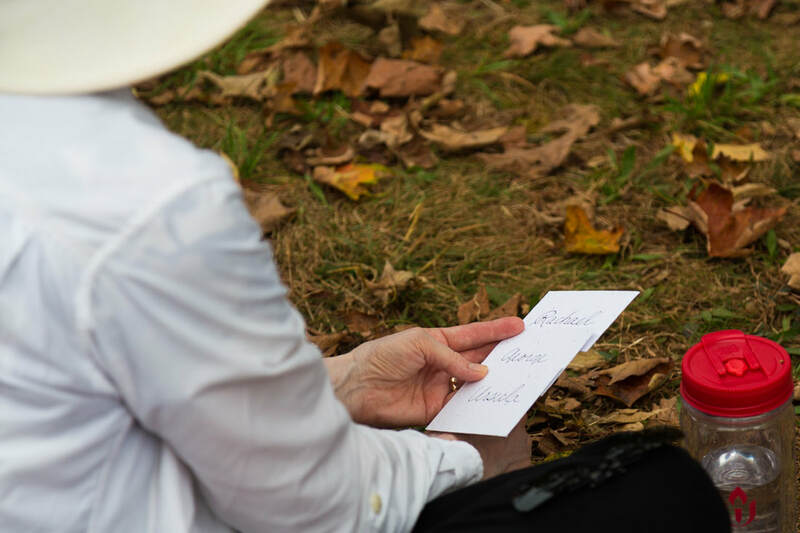 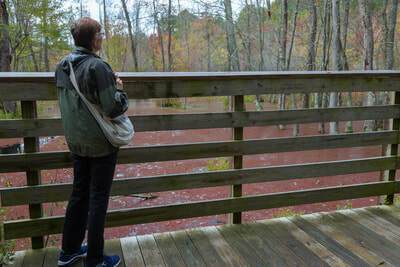 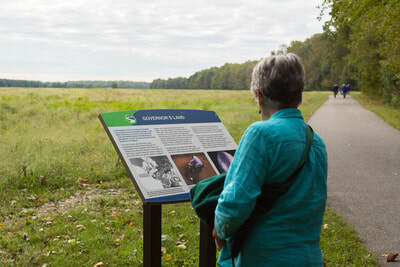 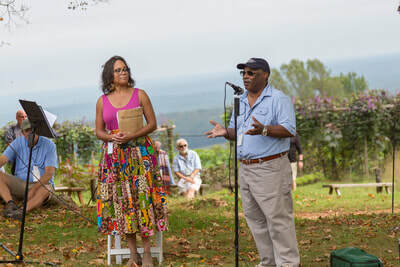 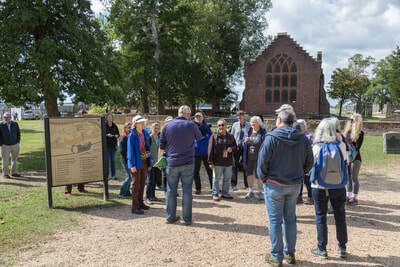 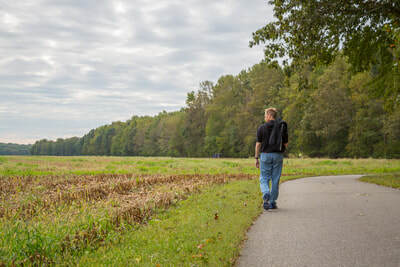 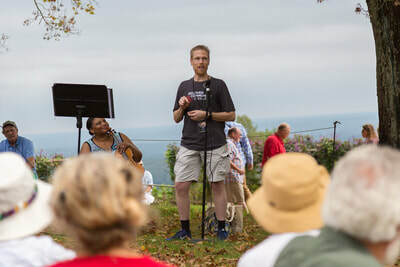 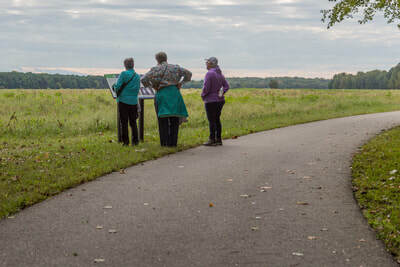 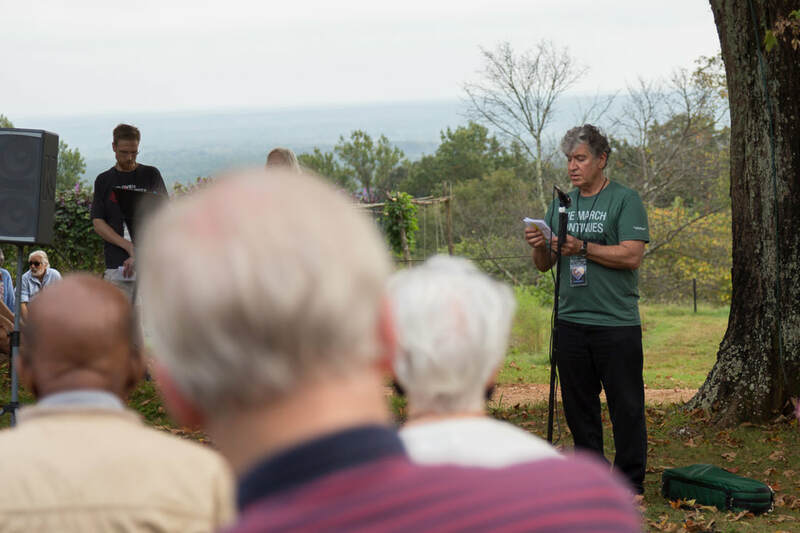 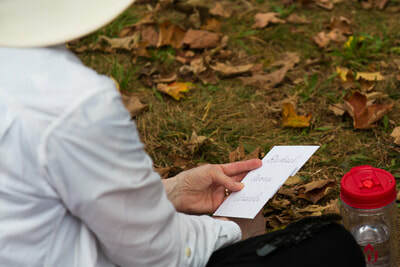 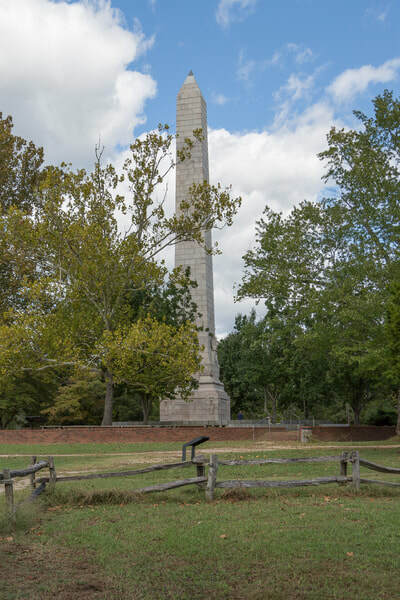 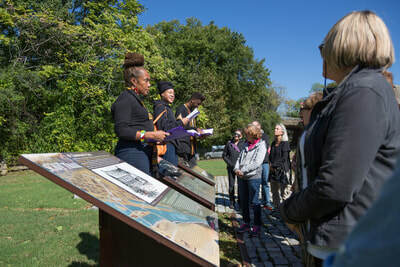 We walked on the Saunders-Monticello Trail, and ended up at Monticello for an education and reflection experience at the African American Burial Grounds, and the reading of the name of three hundred and sixty enslaved at Monticello. 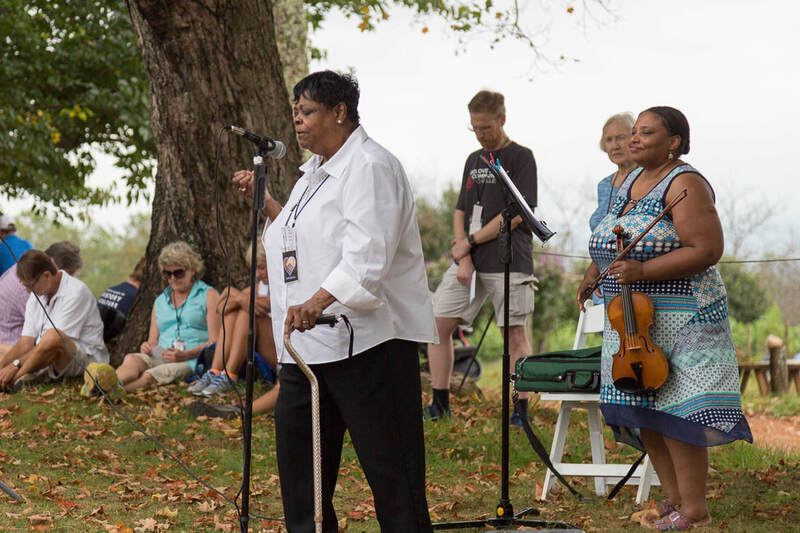 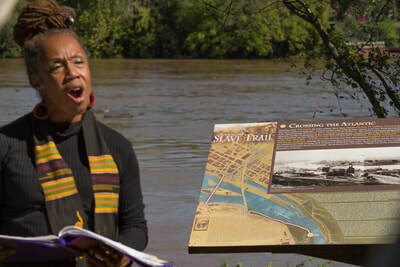 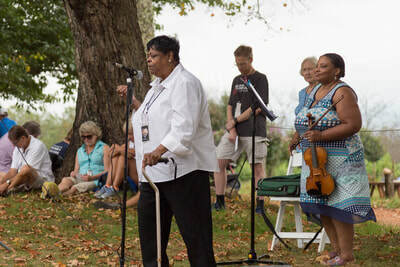 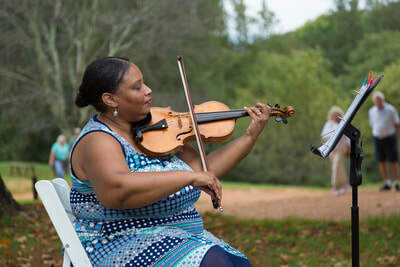 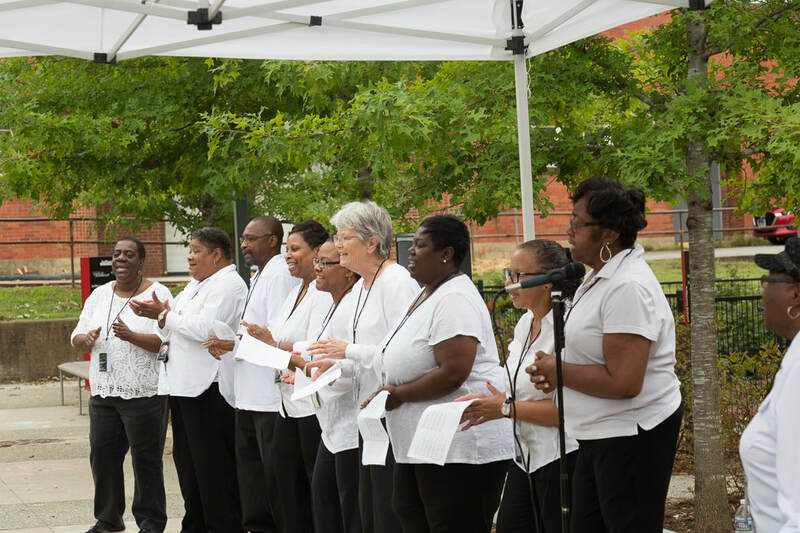 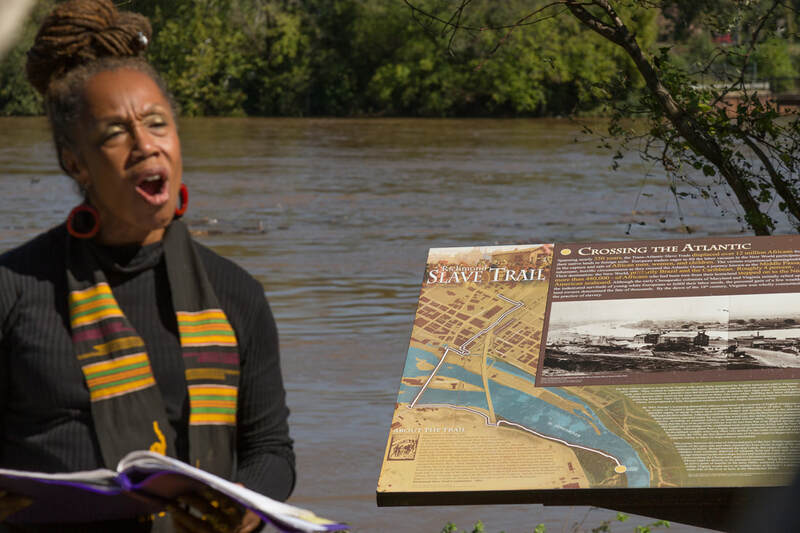 ​Apostle Sarah Kelley, Pastor of Faith Hope & Love Church of Deliverance, leads in the singing of "Go Down Moses" at Ft. Monroe to end the Charlottesville to Jamestown Pilgrimage. 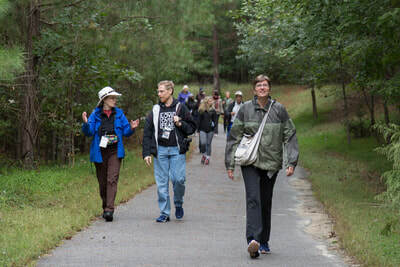 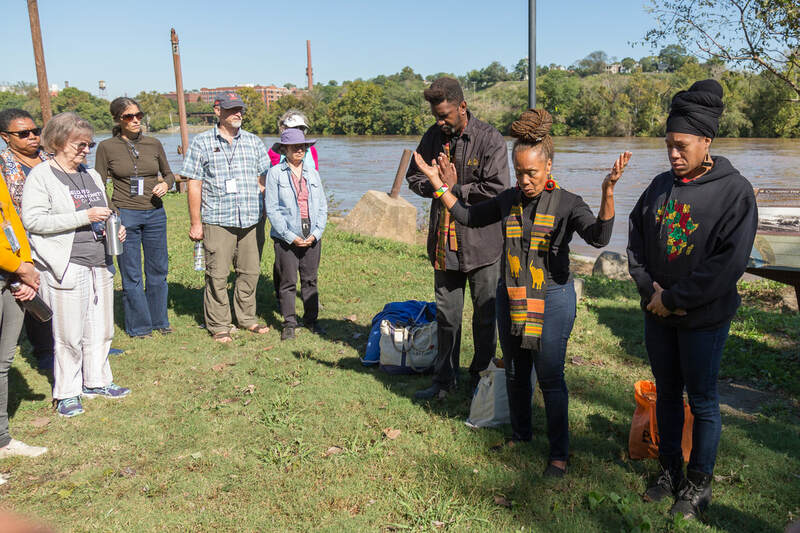 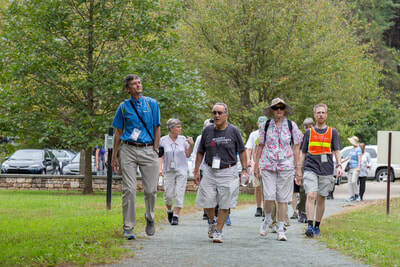 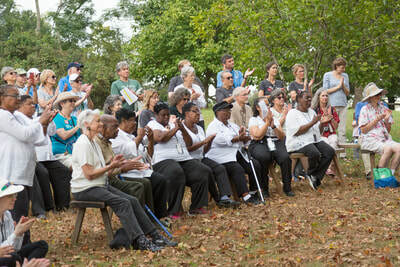 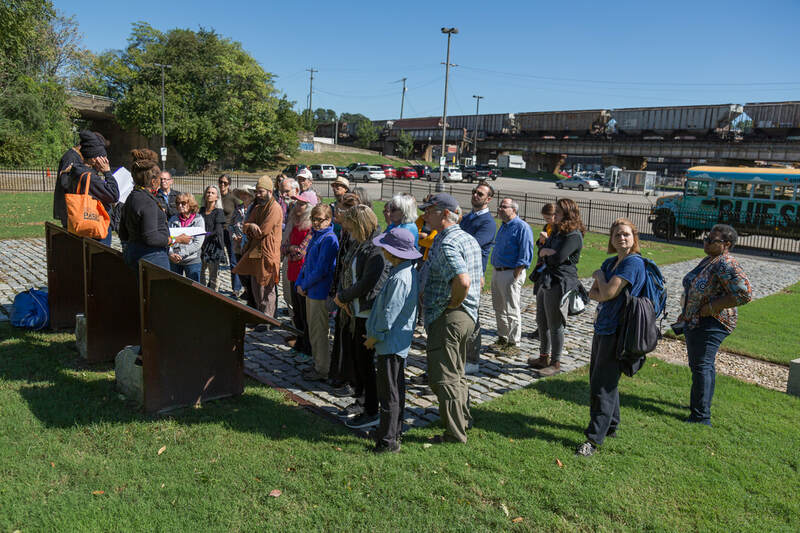 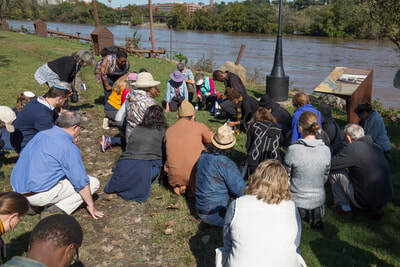 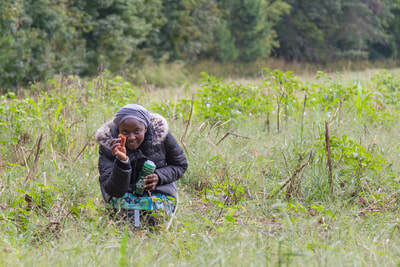 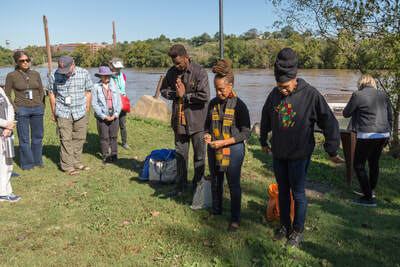 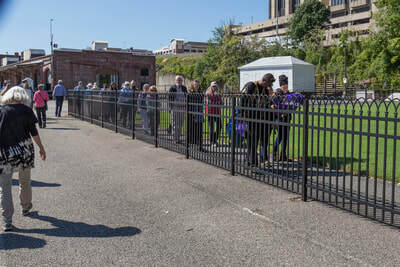 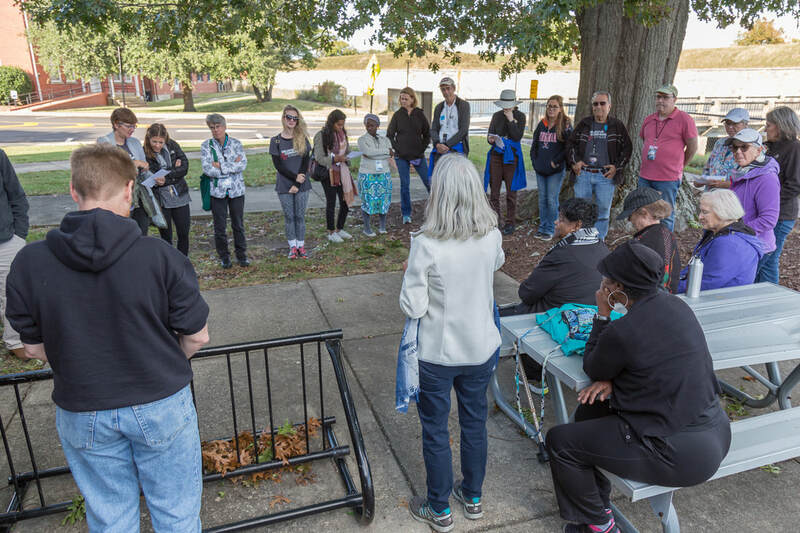 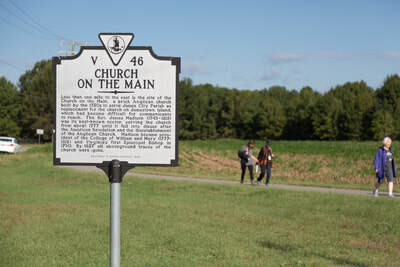 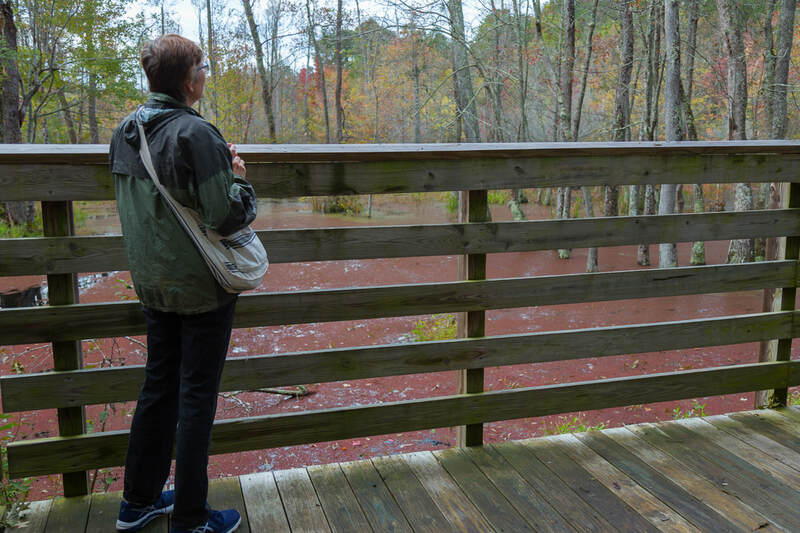 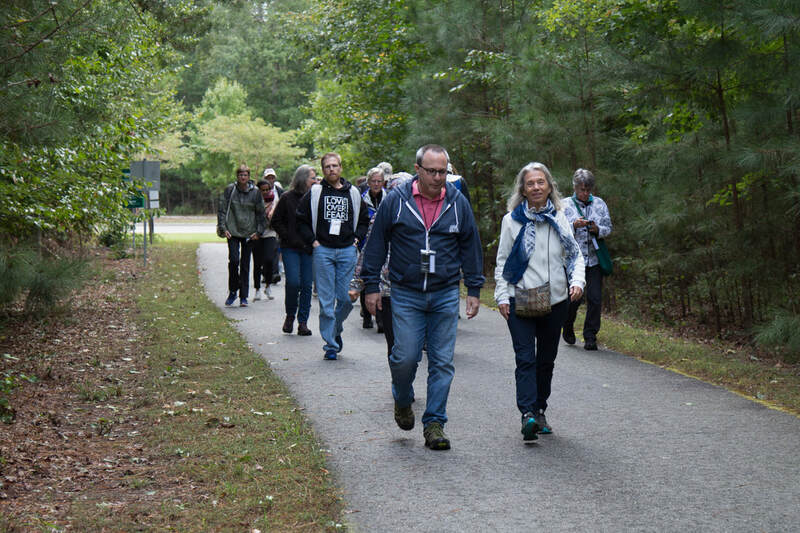 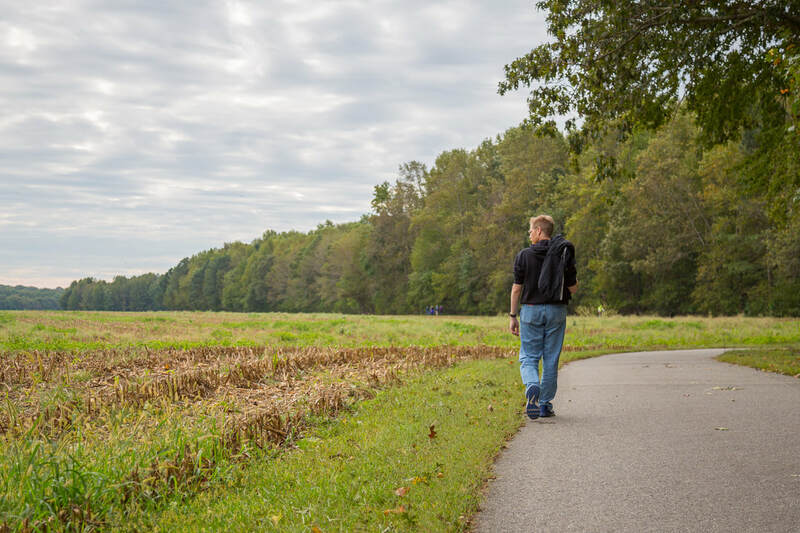 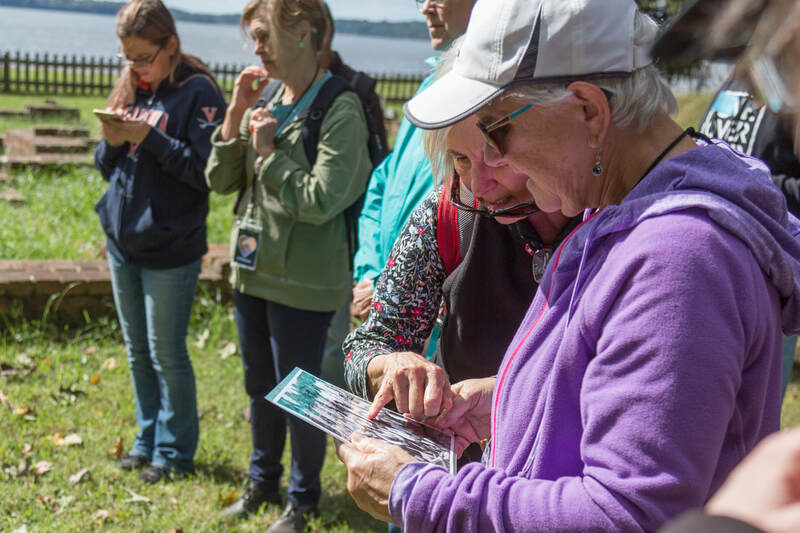 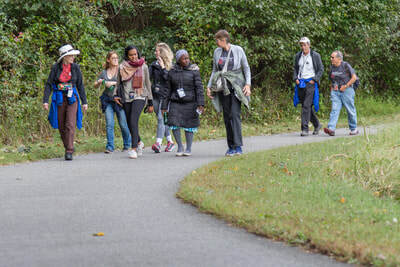 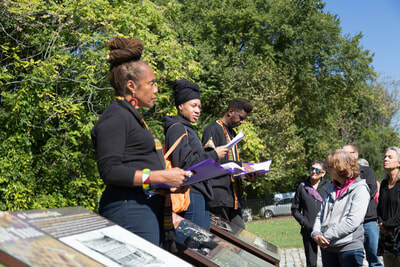 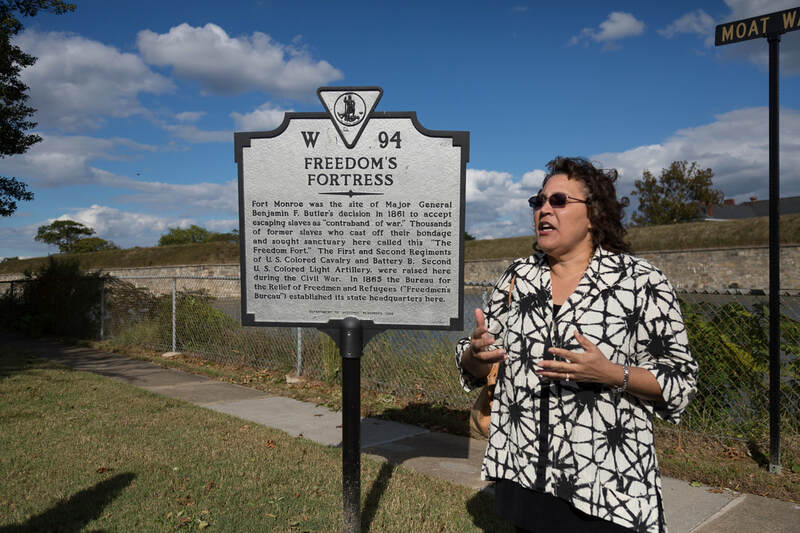 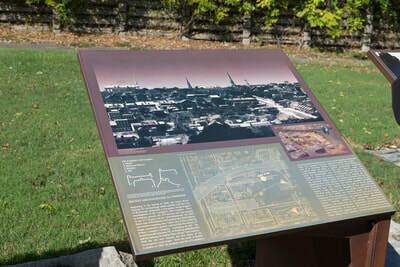 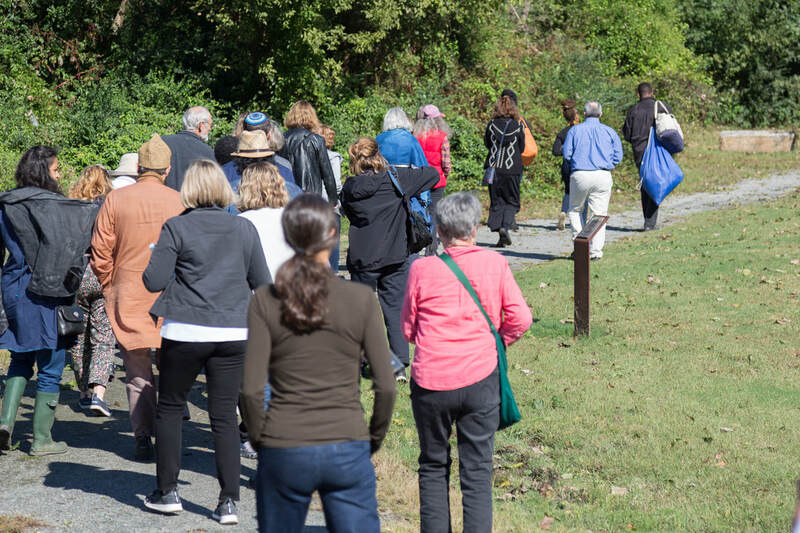 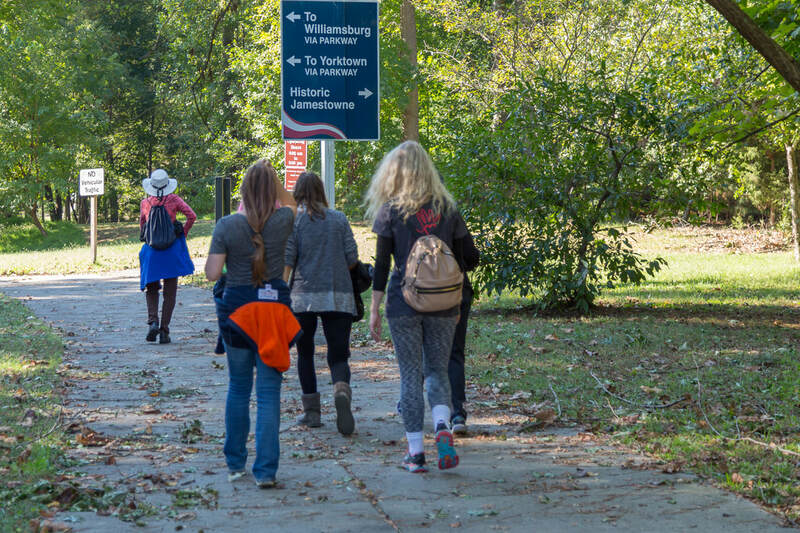 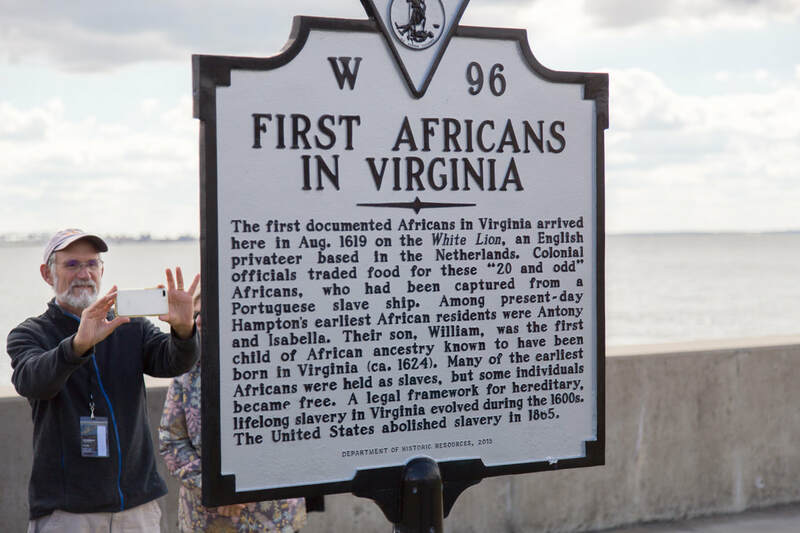 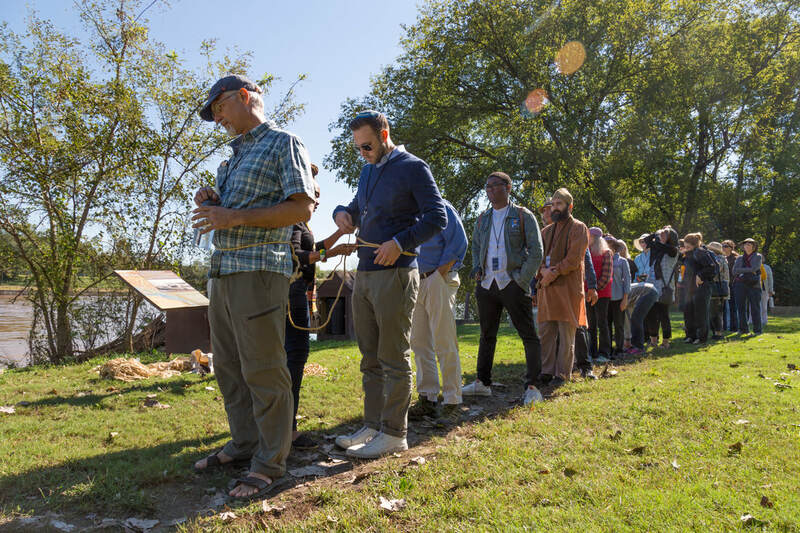 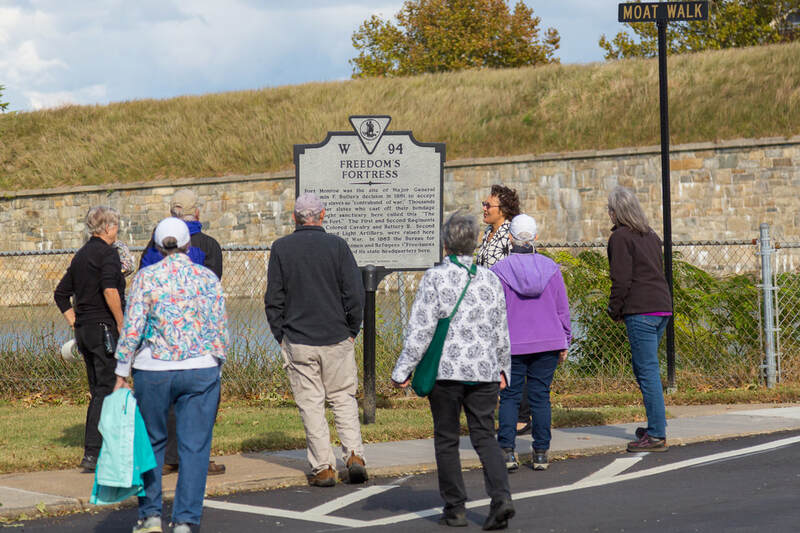 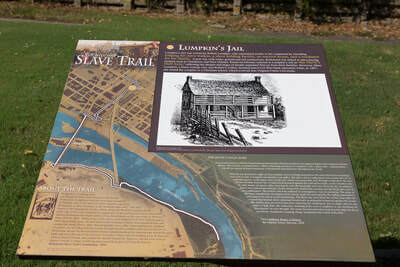 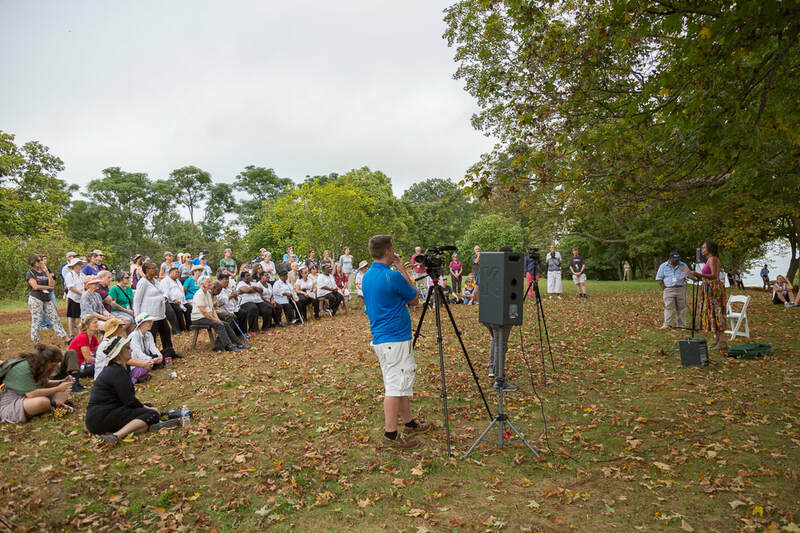 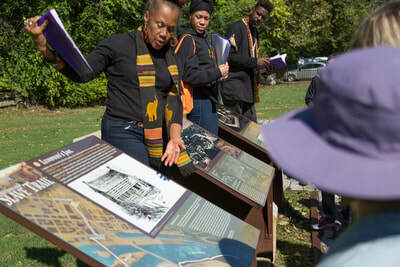 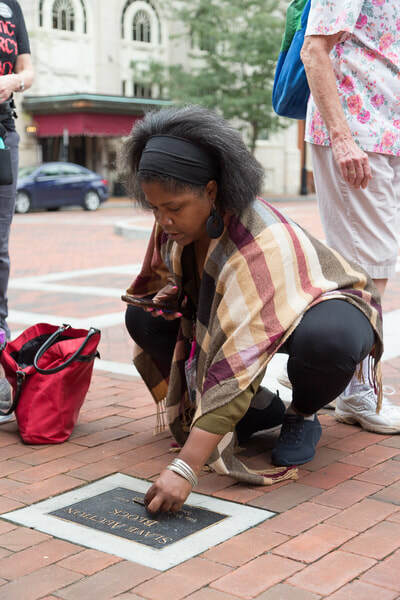 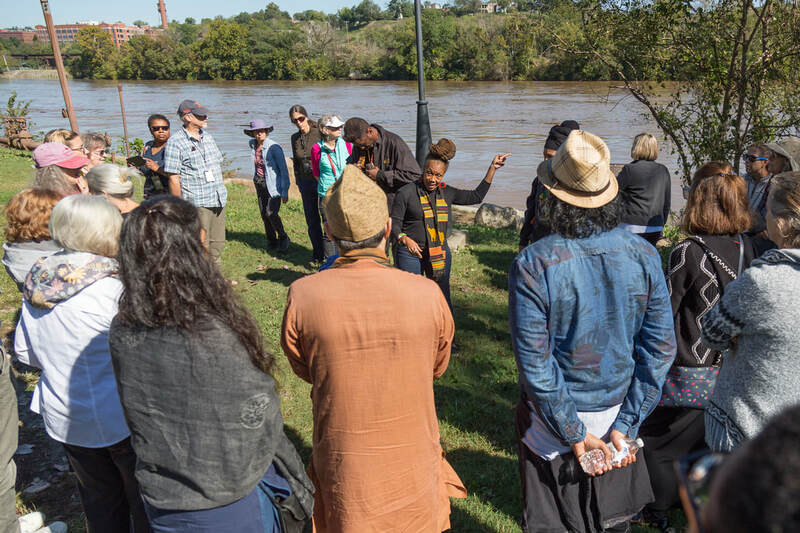 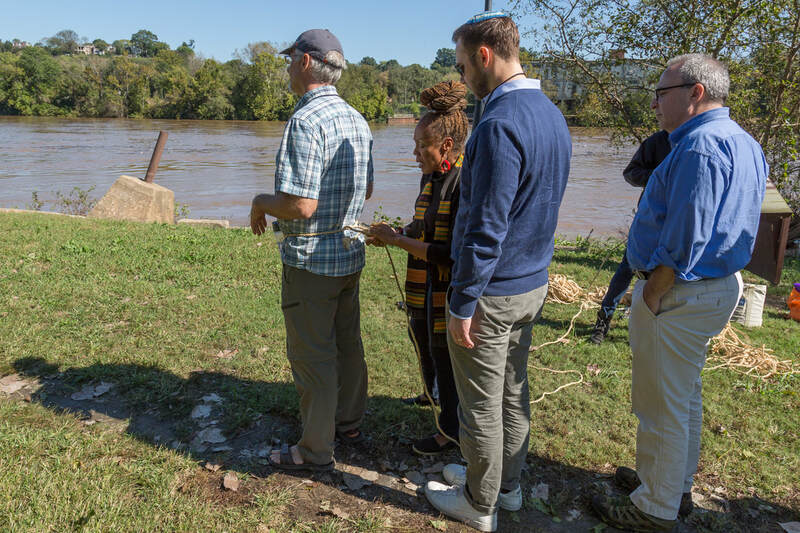 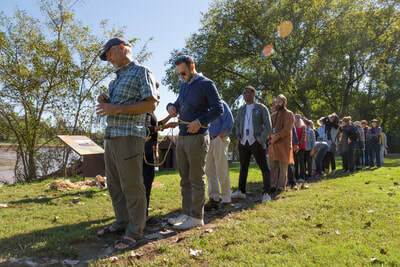 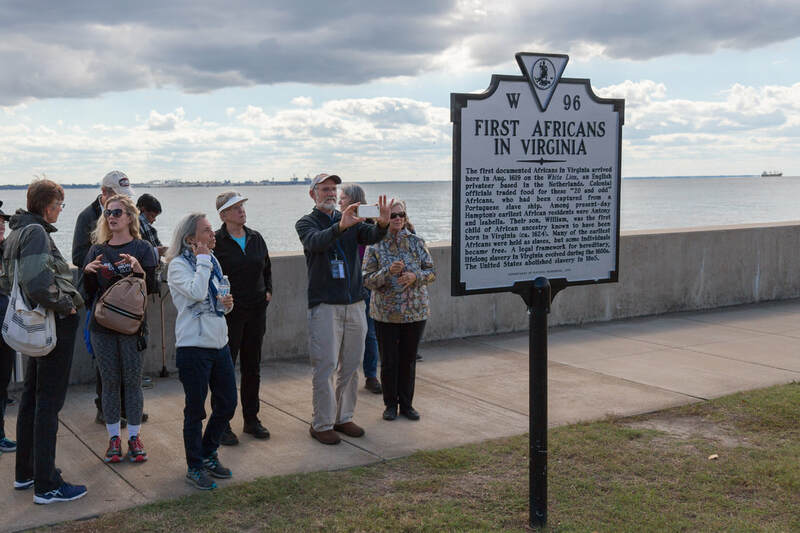 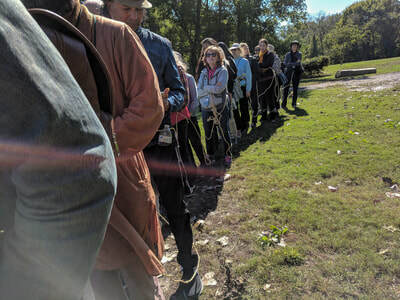 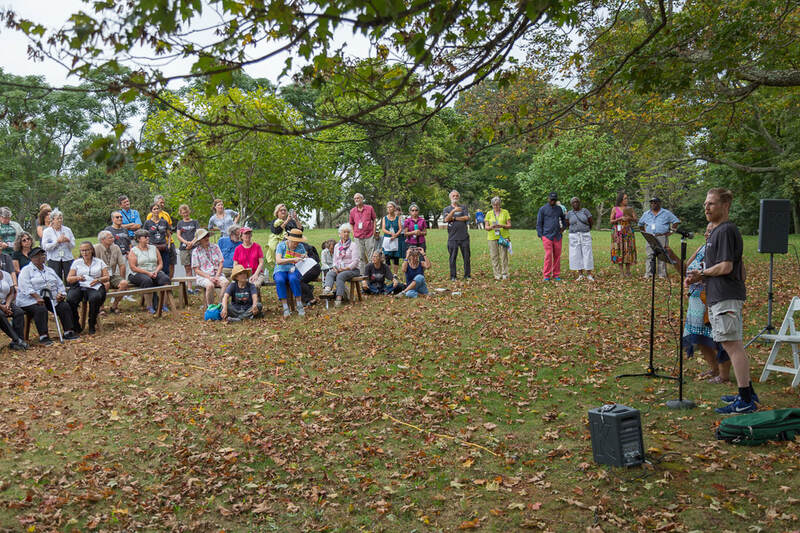 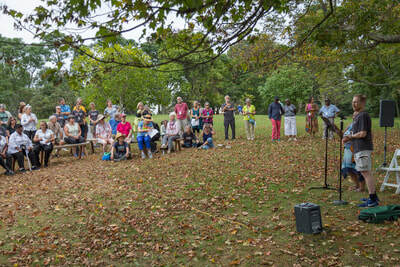 On Friday, October 12, thirty-nine pilgrims made the trek to Richmond, Virginia to walk the Trail of the Enslaved. 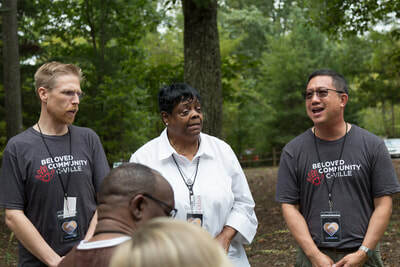 We first were welcomed by Rev. 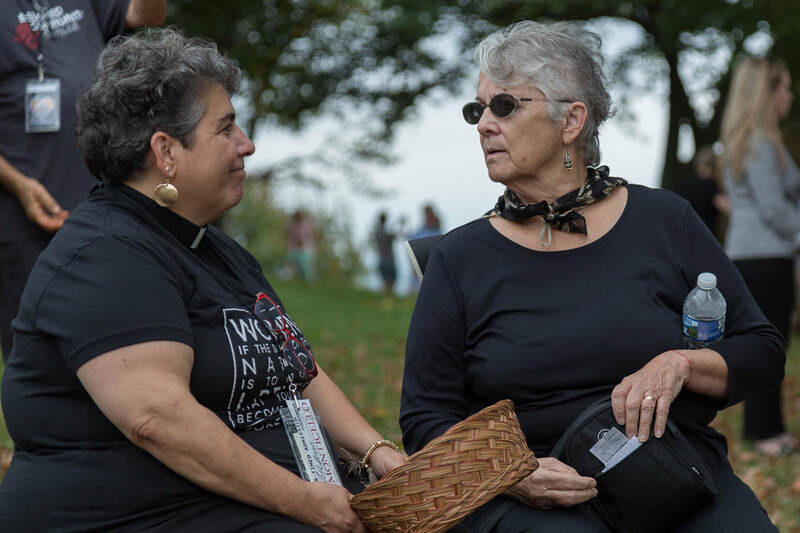 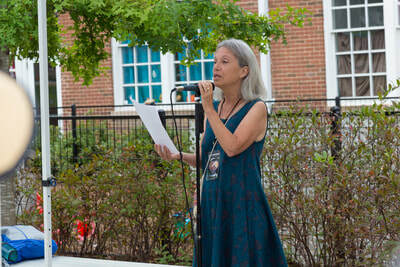 Molly Bosscher, Associate Rector of St. Paul's Episcopal Church. 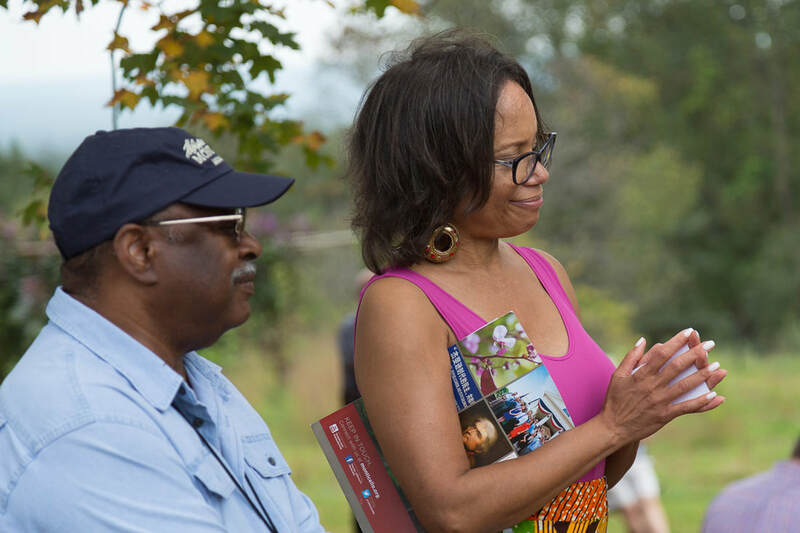 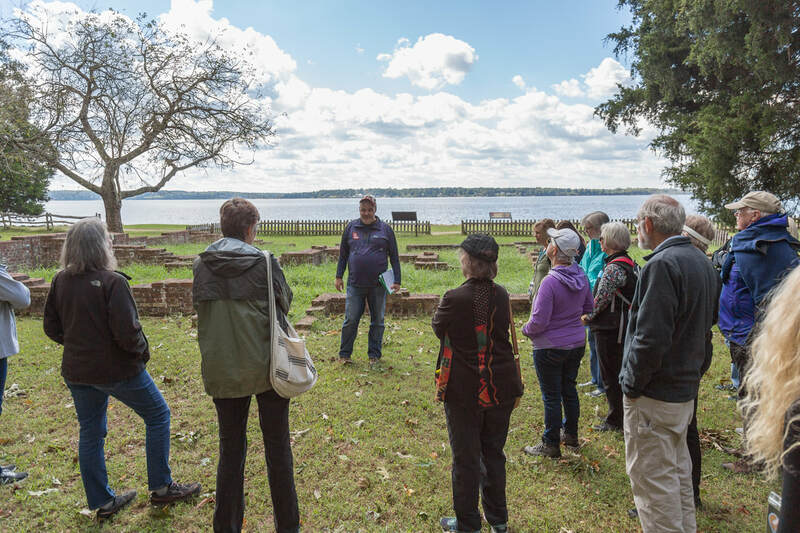 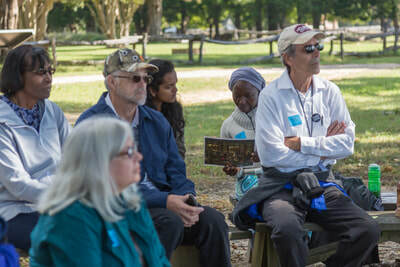 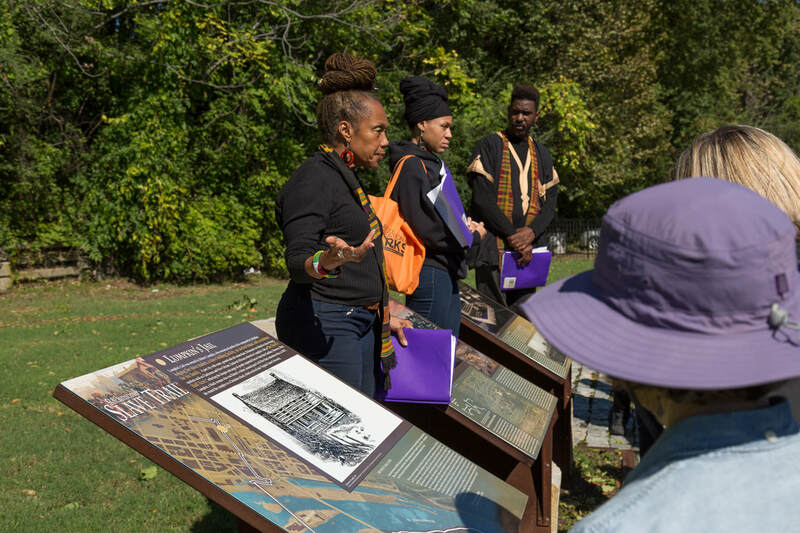 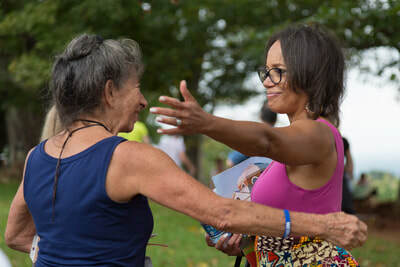 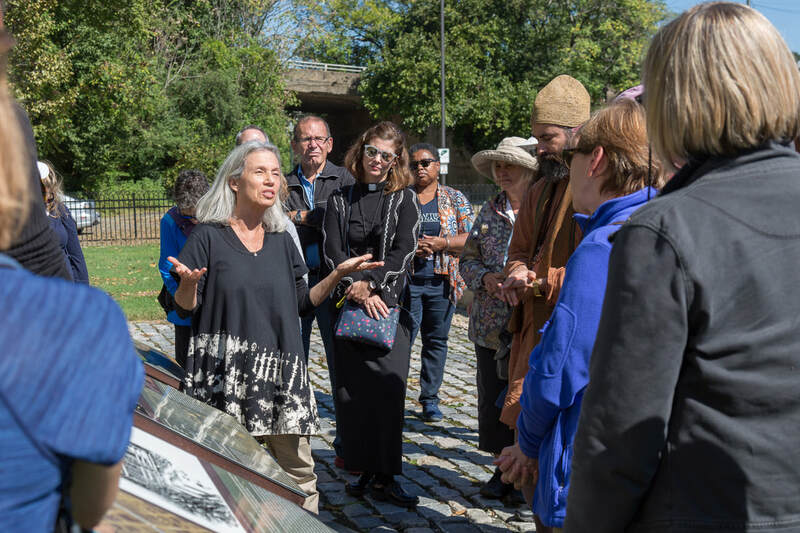 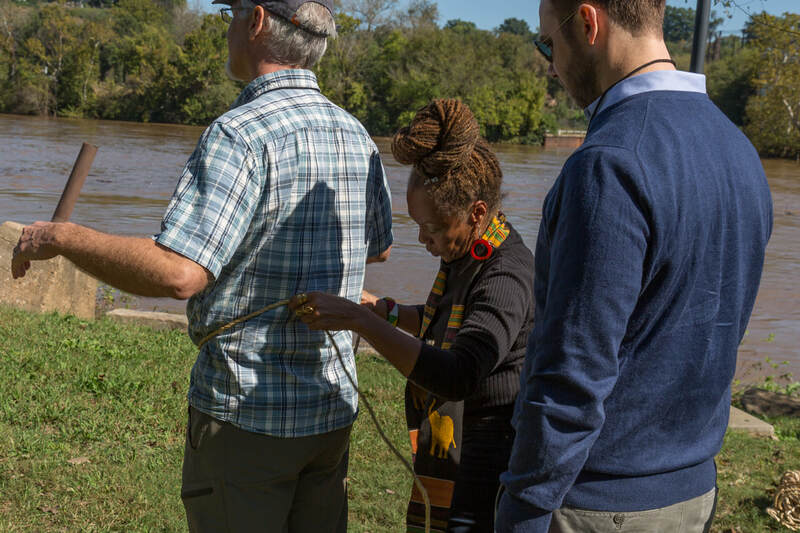 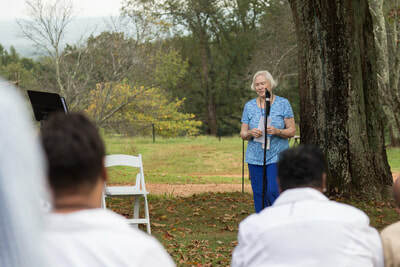 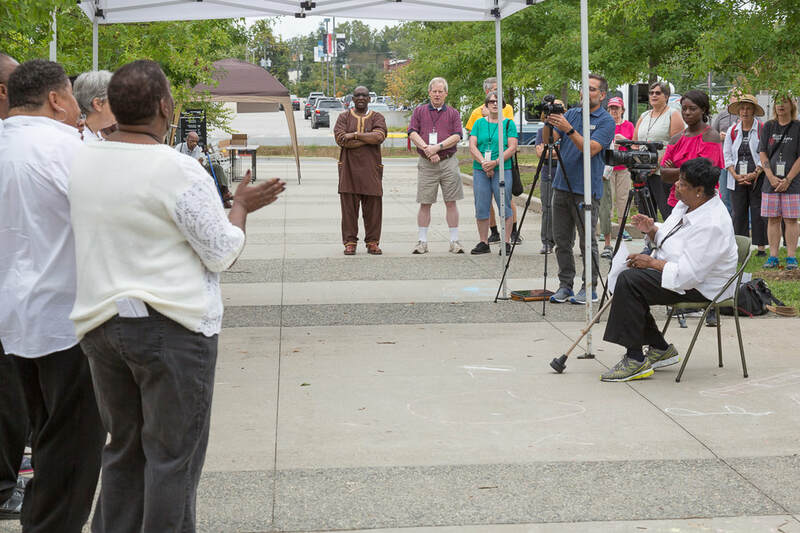 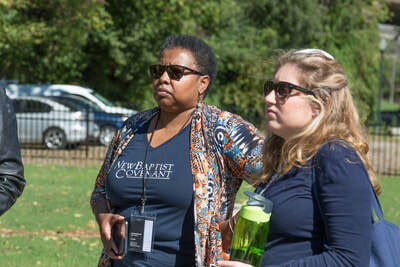 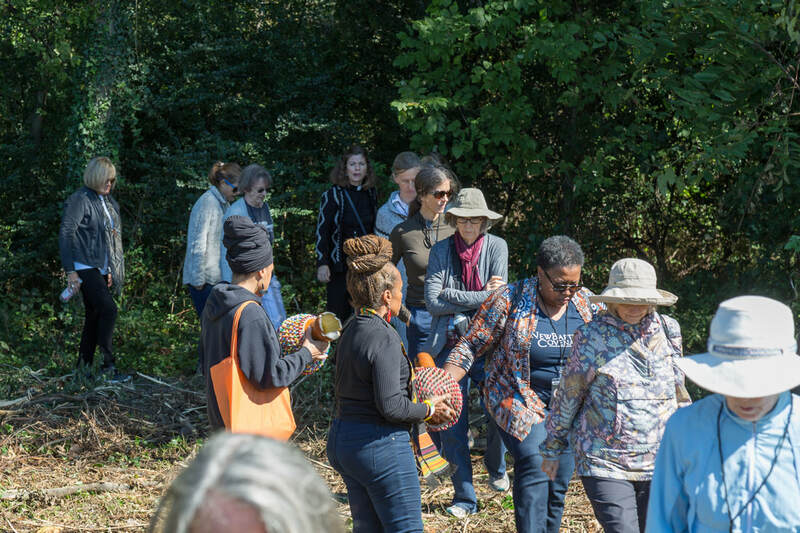 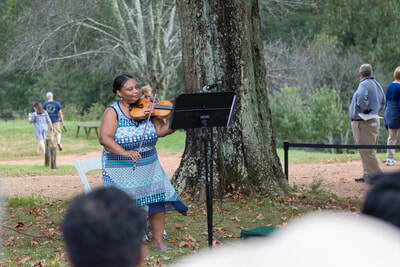 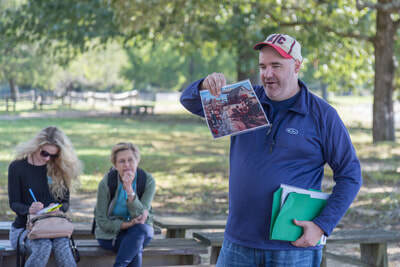 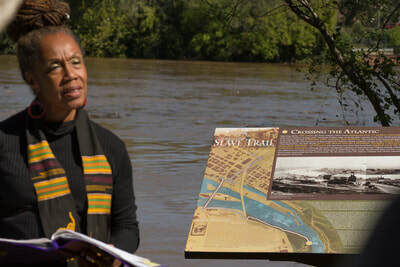 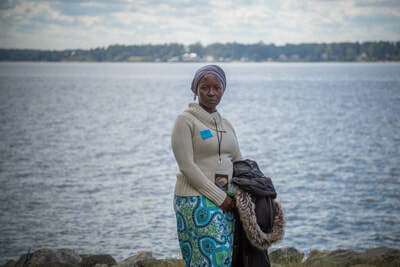 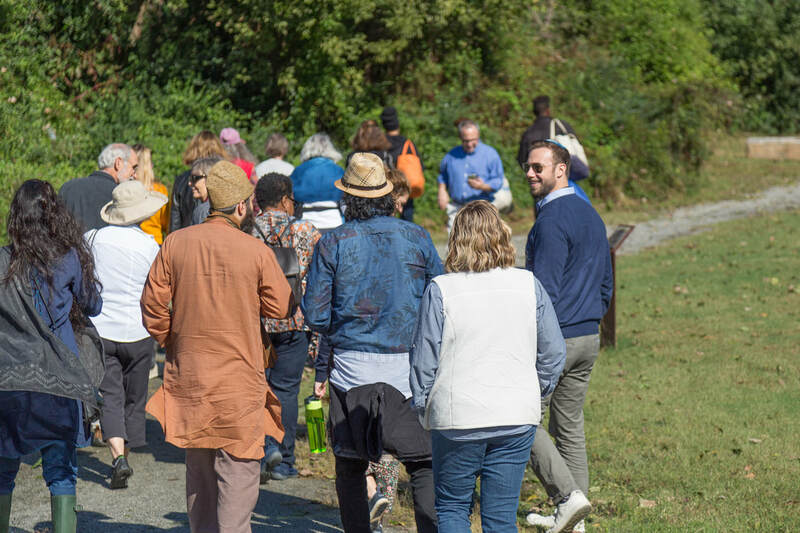 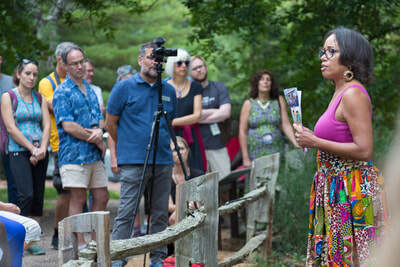 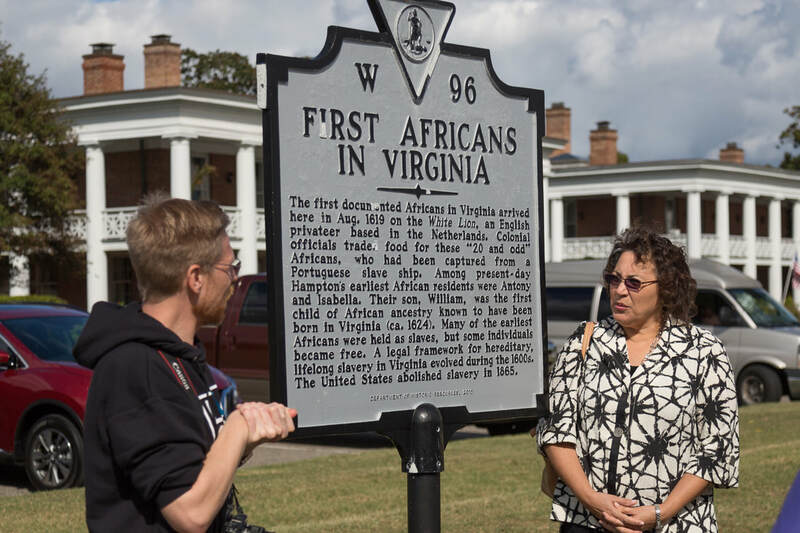 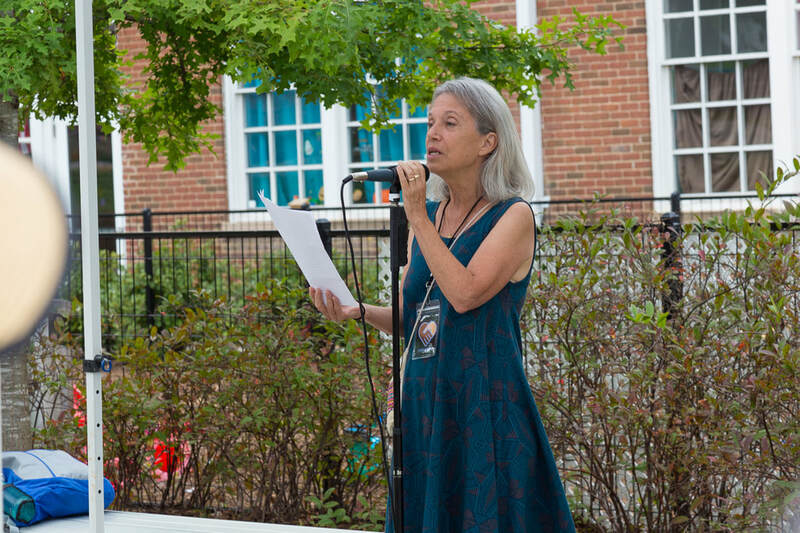 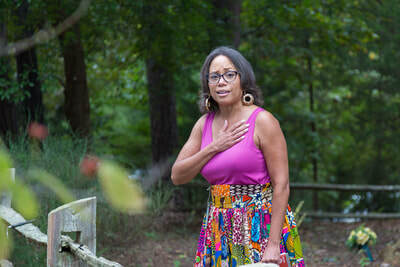 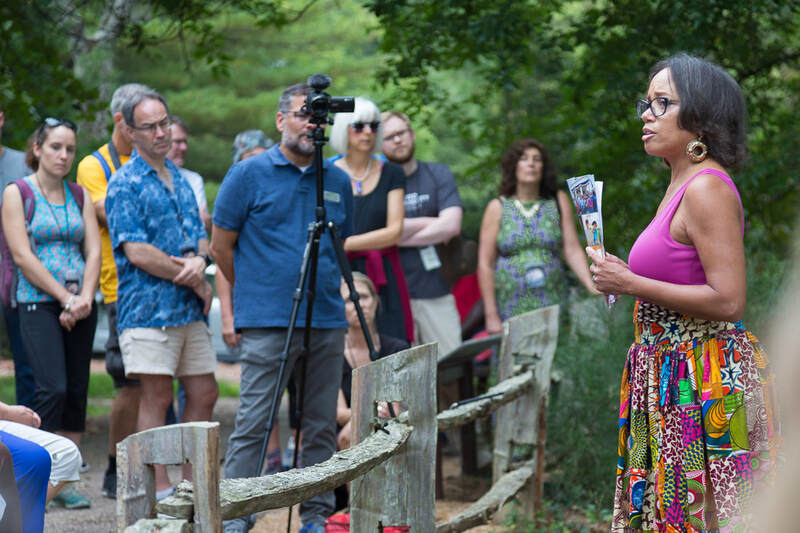 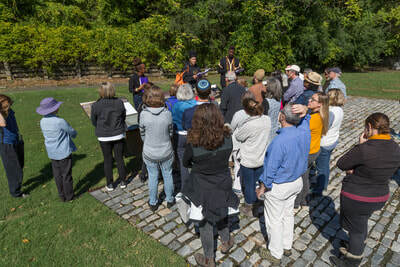 We were then led by Janine Bell and her team at the Elegba Folklore Society on an interactive, experiential walking tour on the trail of the enslaved. 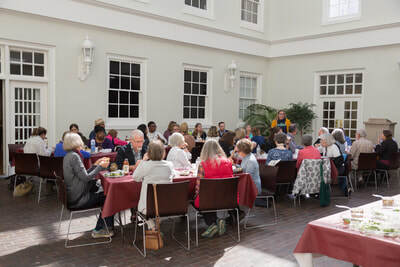 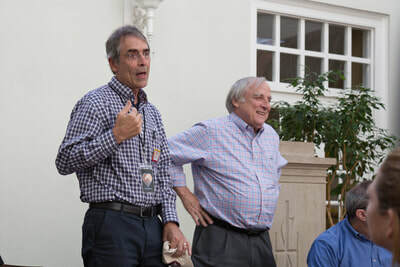 After the tour, we returned to St. Paul's for lunch and for small group debriefing led by Rev. Ben Campbell, Pastor Emeritus of Richmond Hill, and Abigail Ballew and Allan-Charles Chipman of Initiatives of Change Richmond VA.
Last Thursday, we had the privilege of having Mark Charles come and give a lecture on "The Heresy of Christendom and the Trauma of the Doctrine of Discovery as part of our Cville2Jtown Pilgrimage. 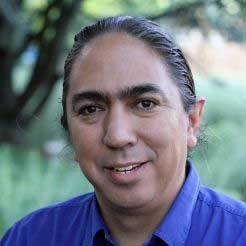 Below is the video of his lecture, and an interview with Mark afterwards.